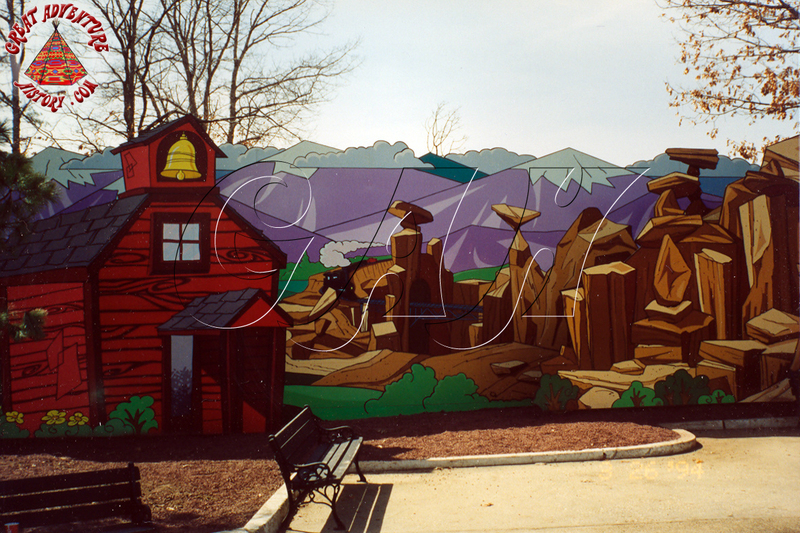 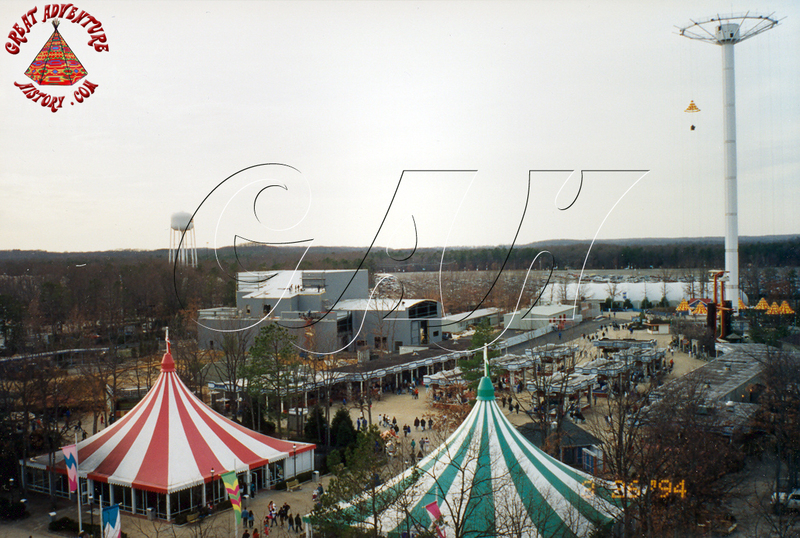 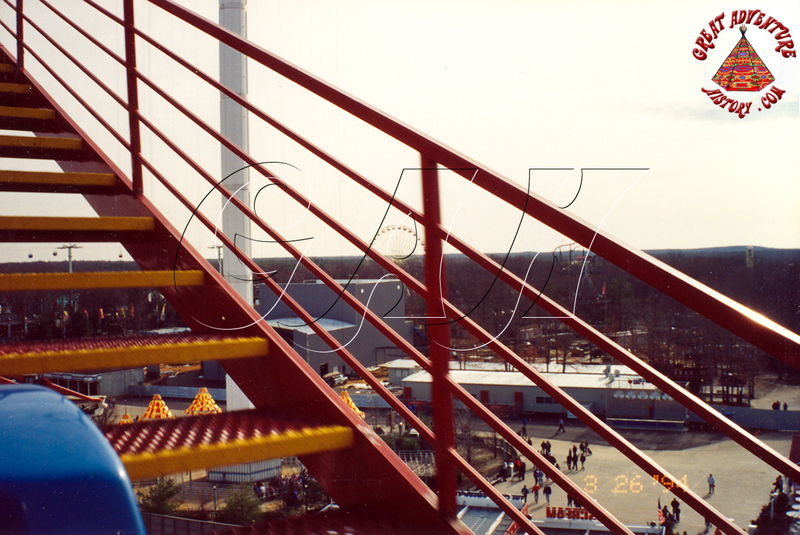 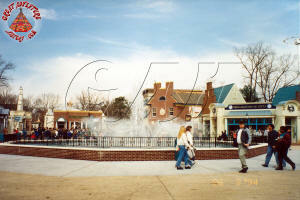 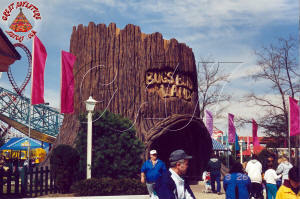 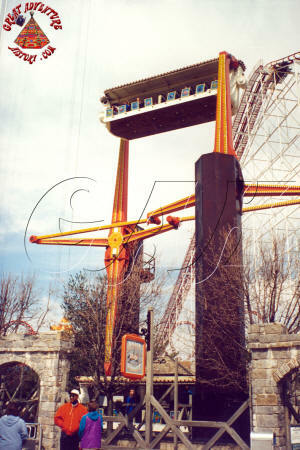 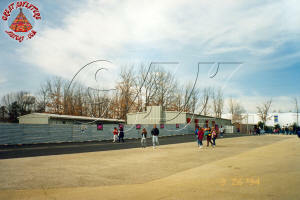 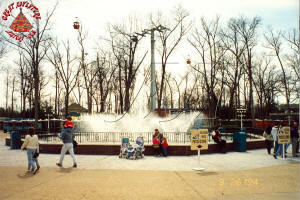 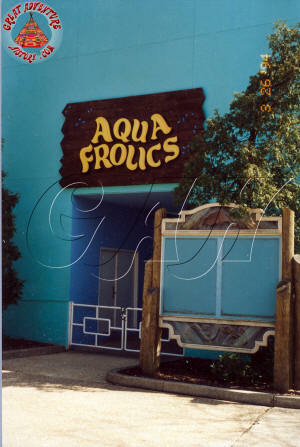 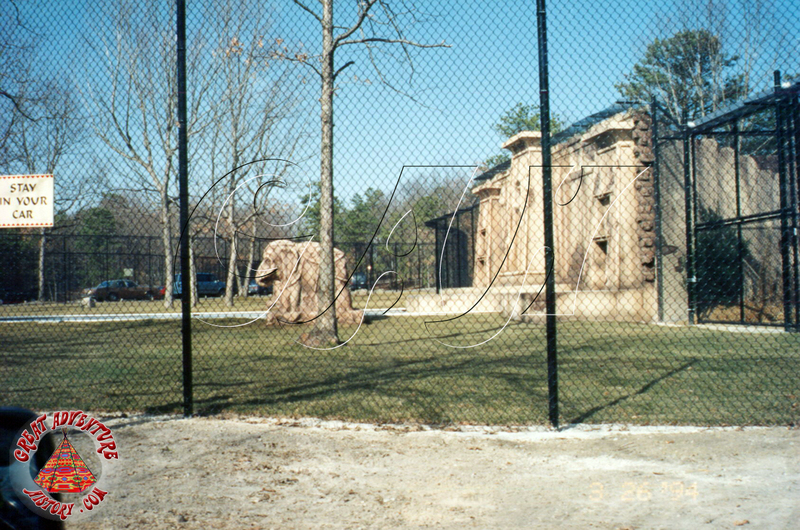 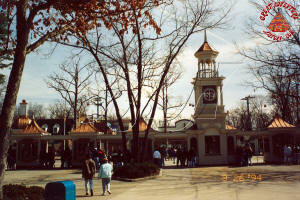 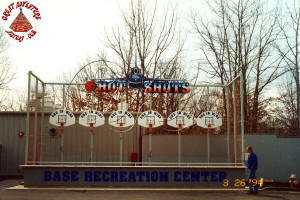 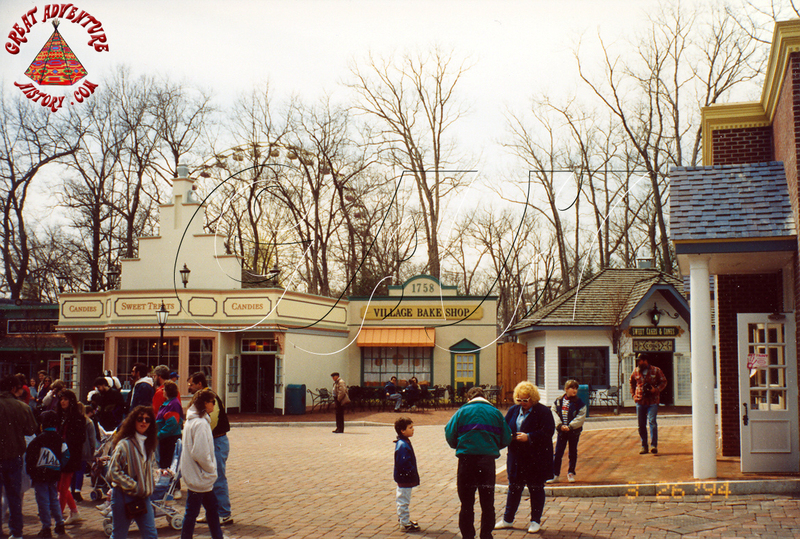 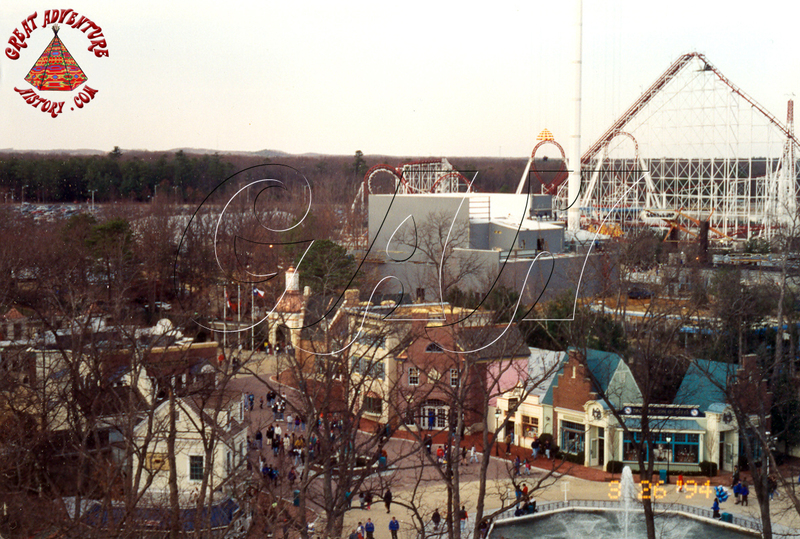 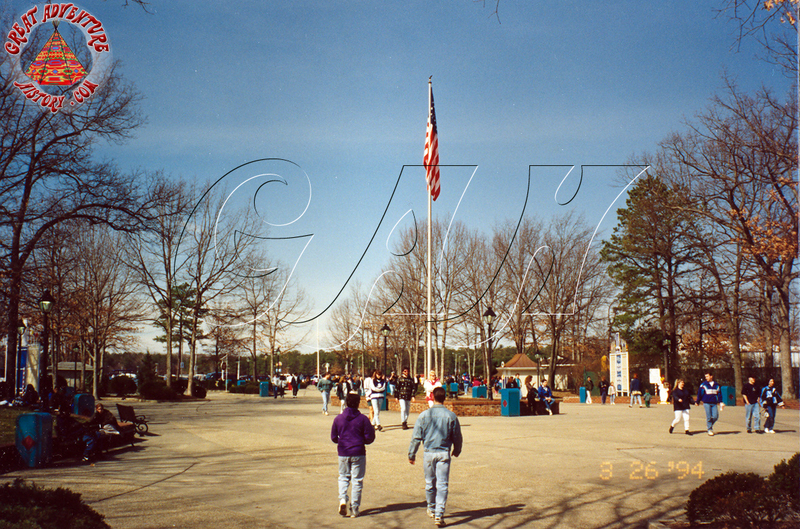 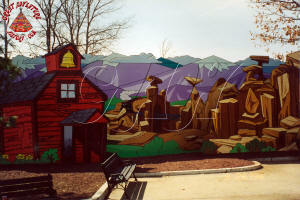 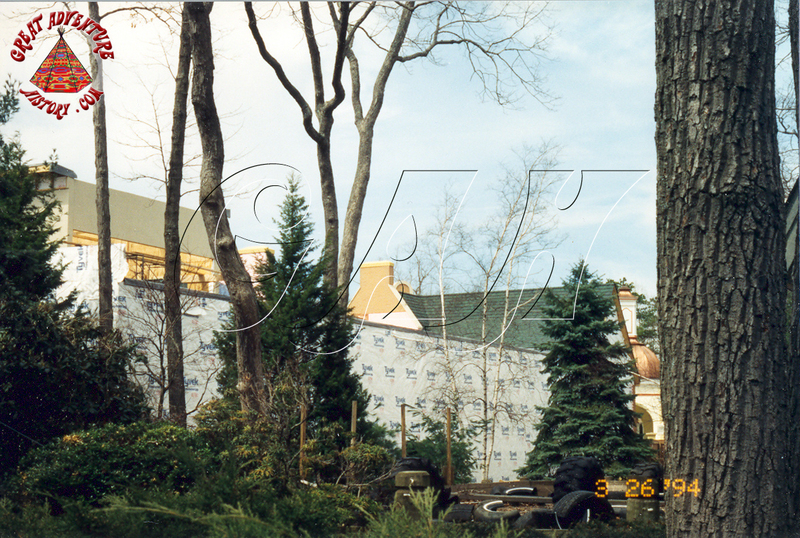 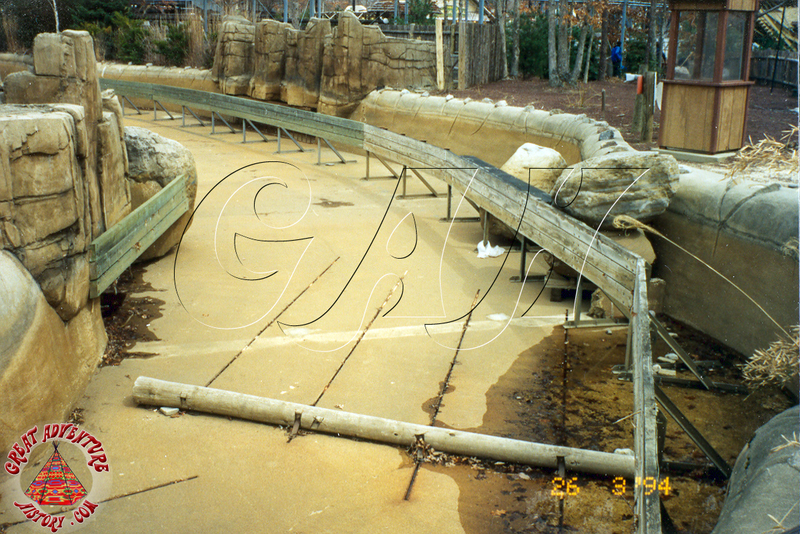 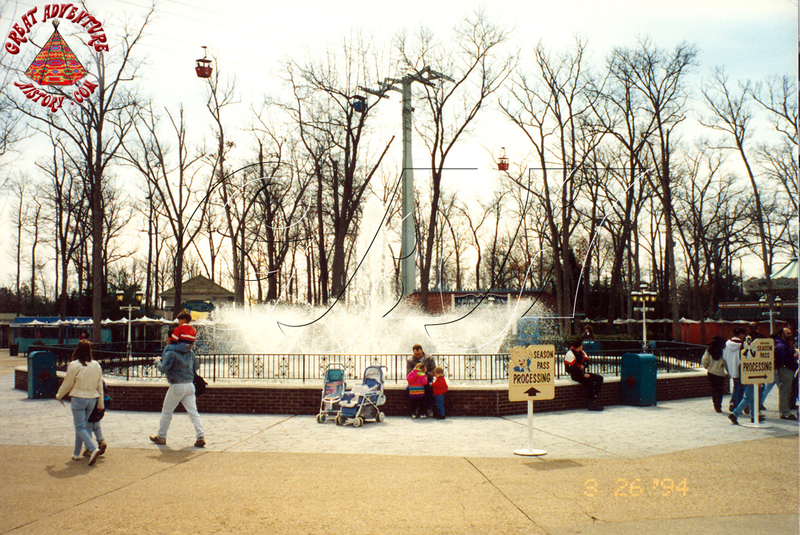 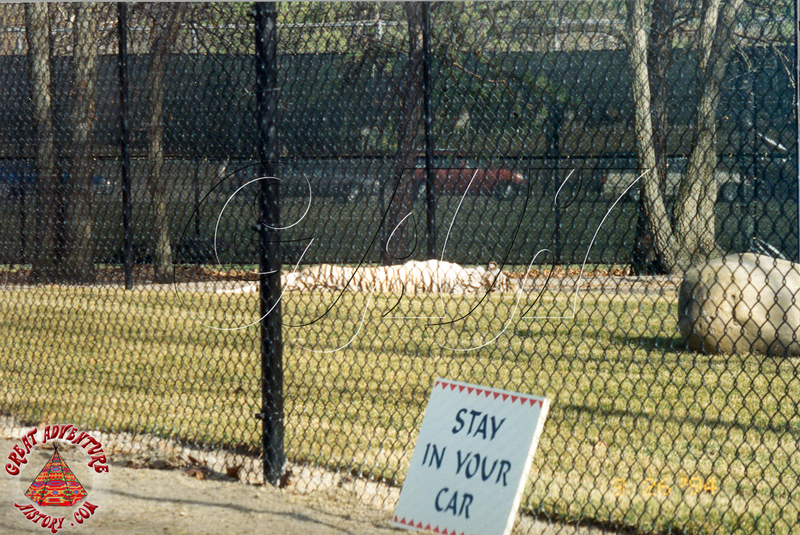 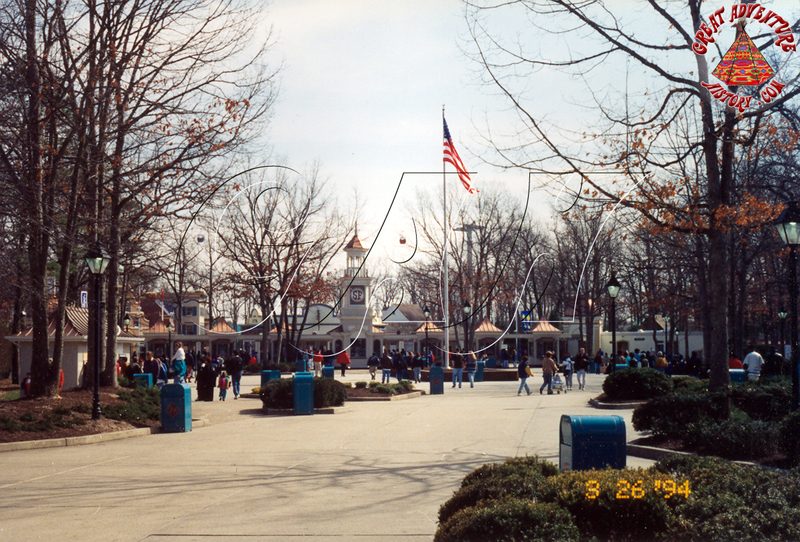 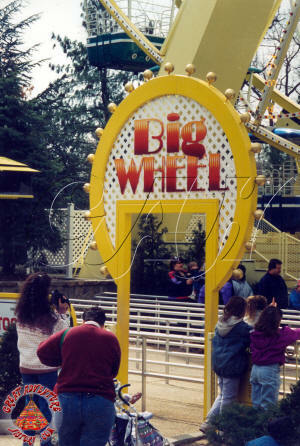 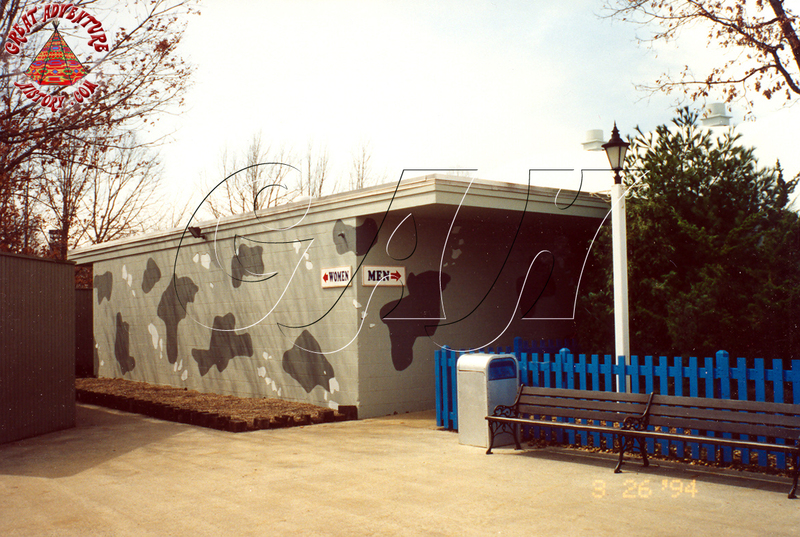 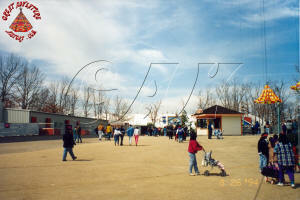 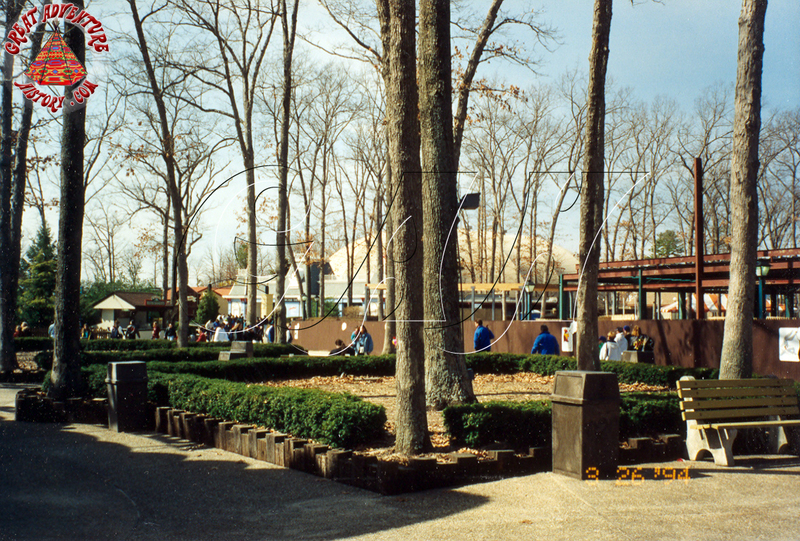 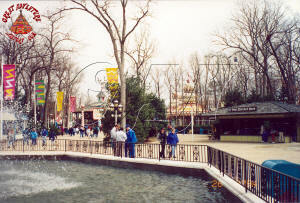 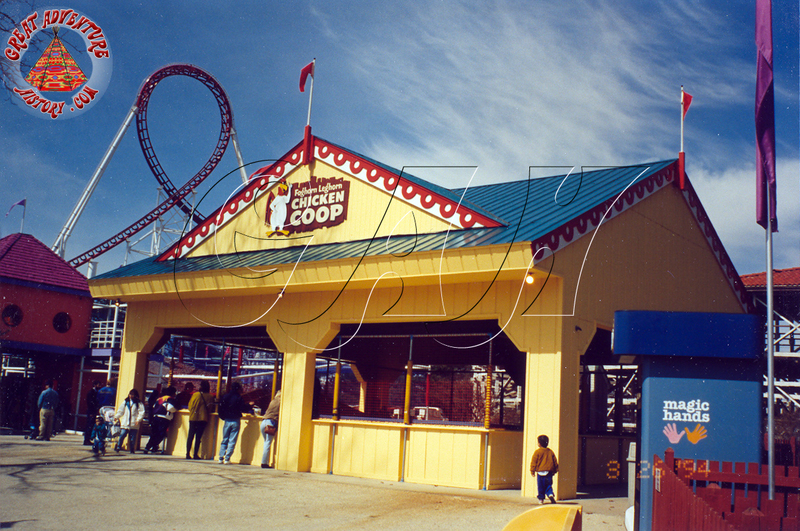 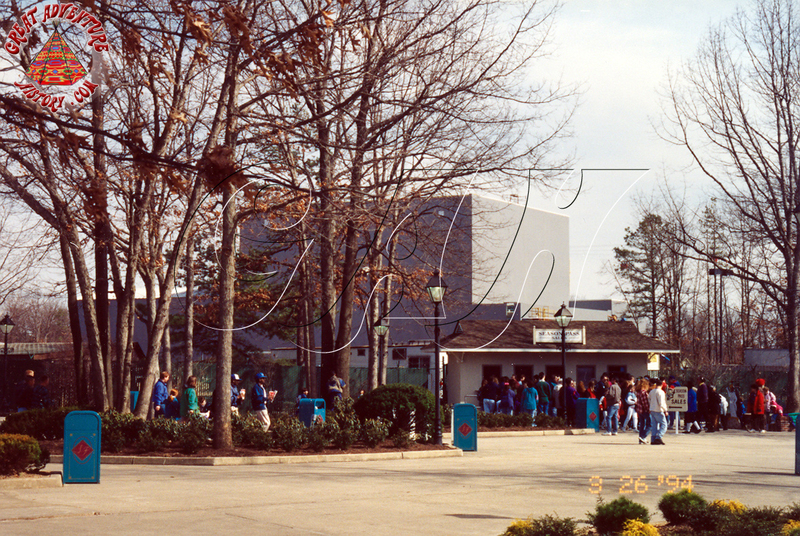 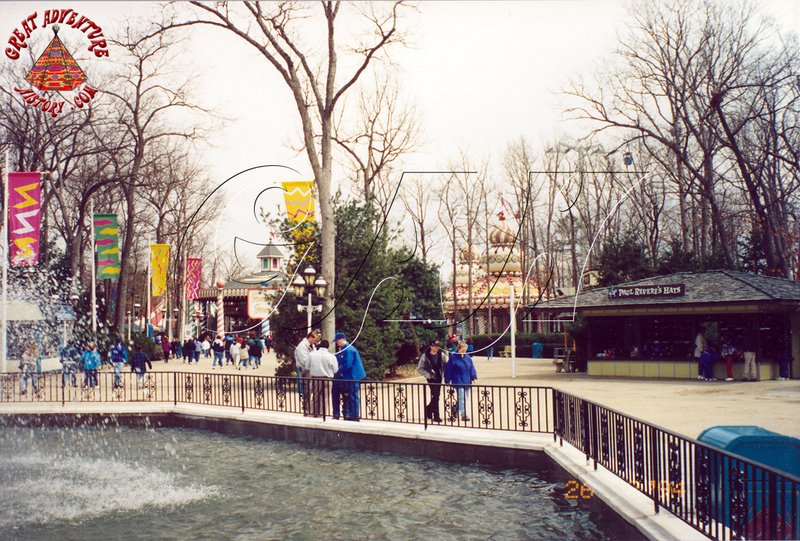 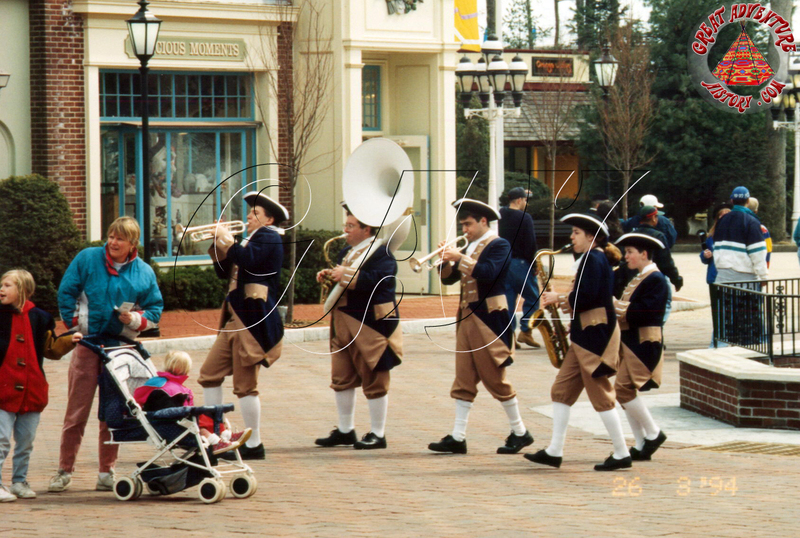 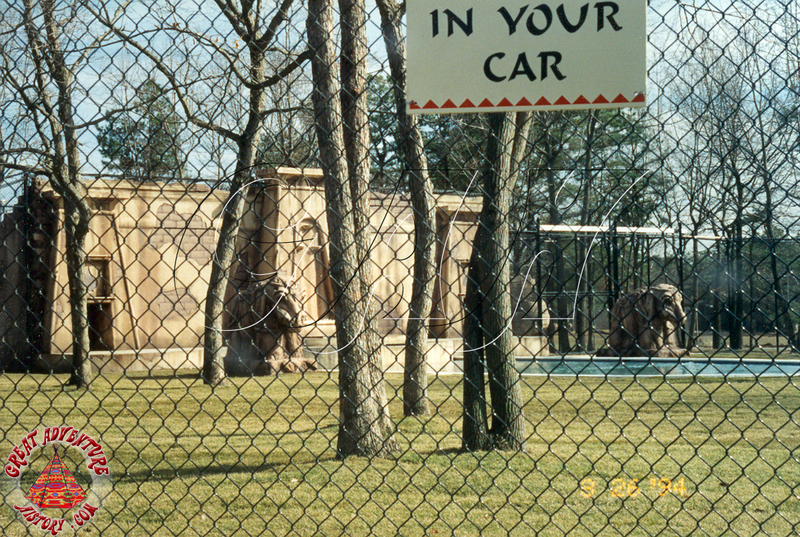 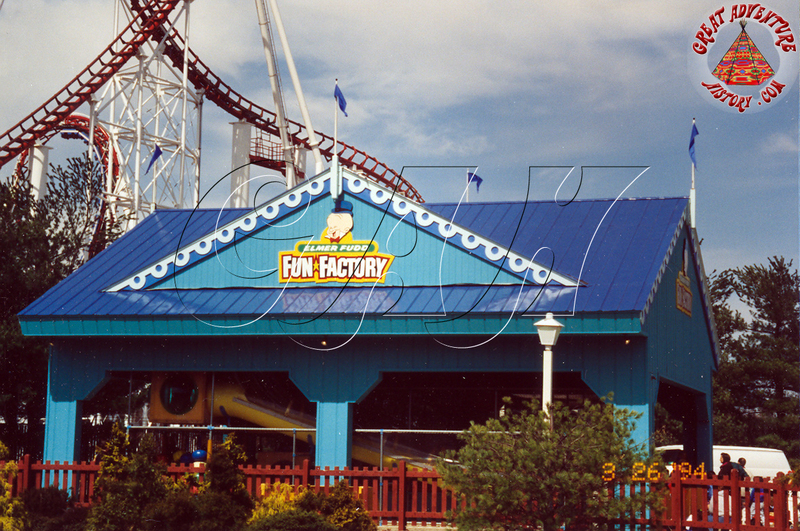 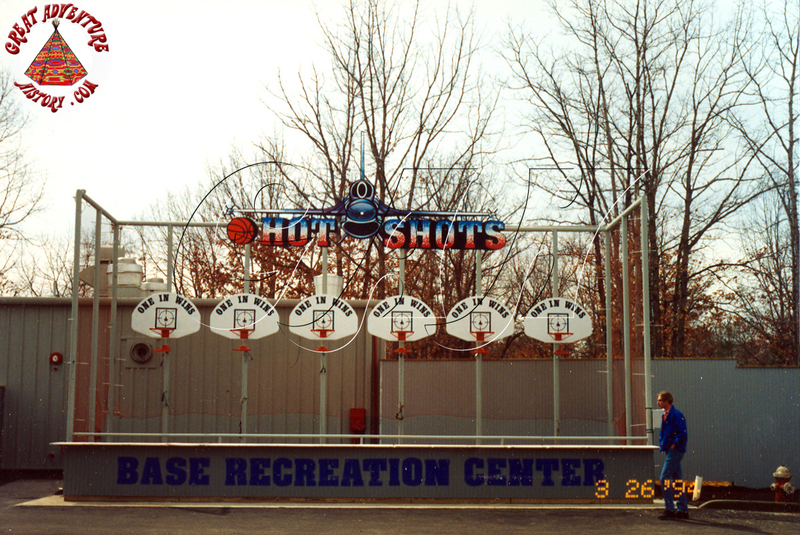 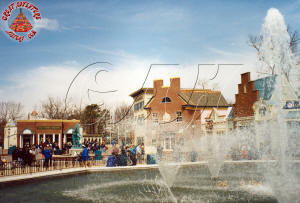 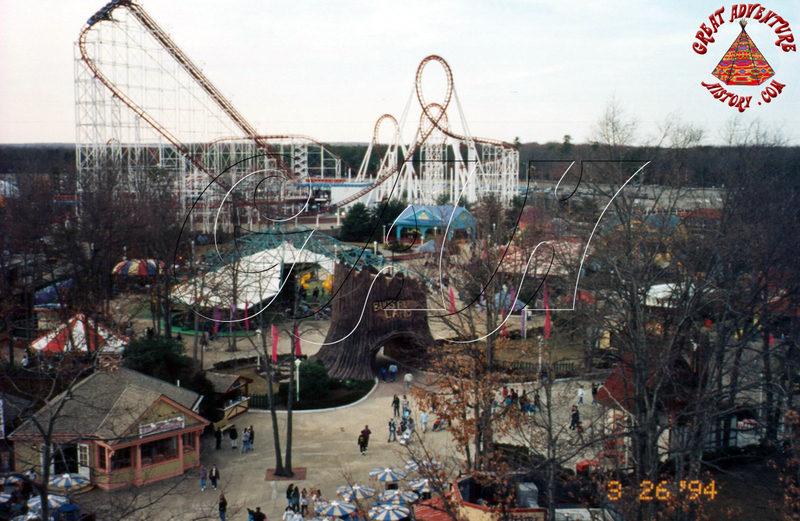 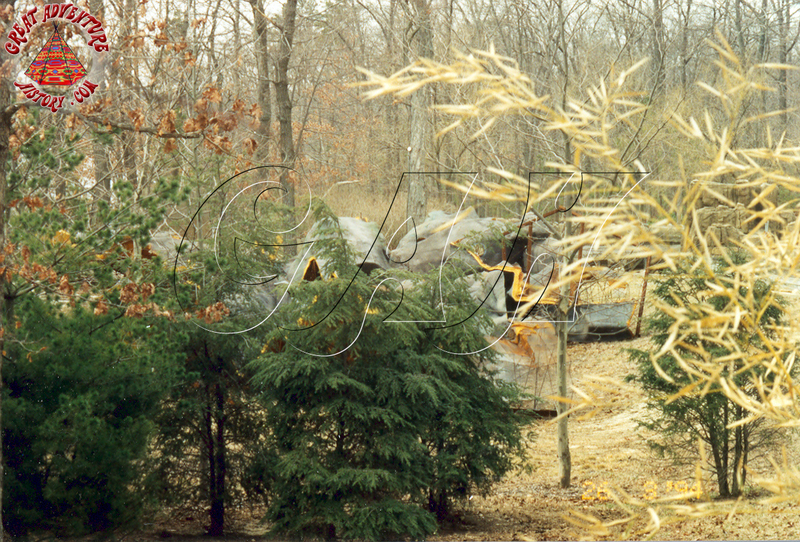 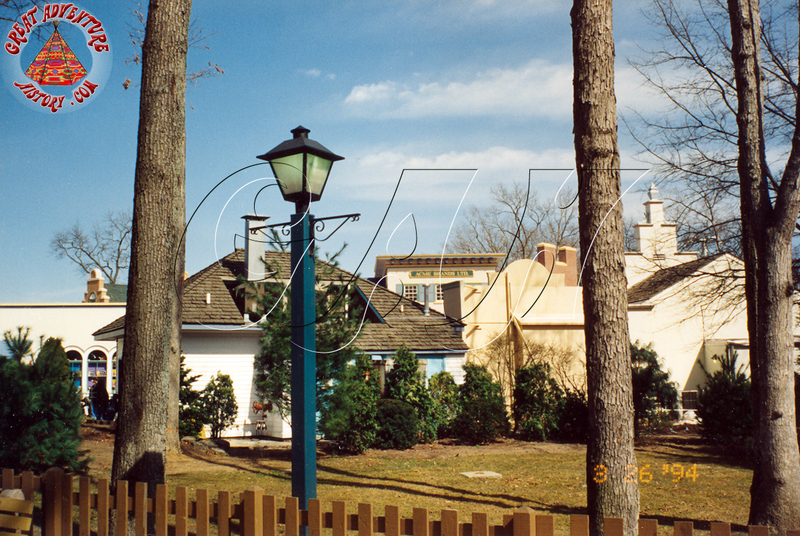 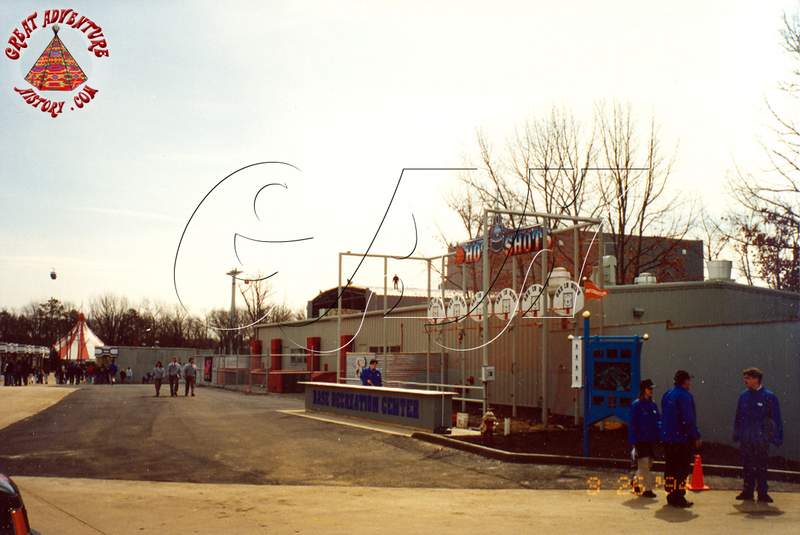 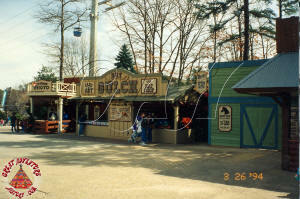 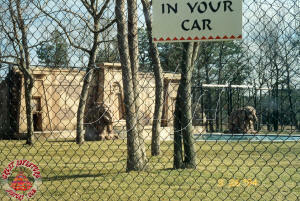 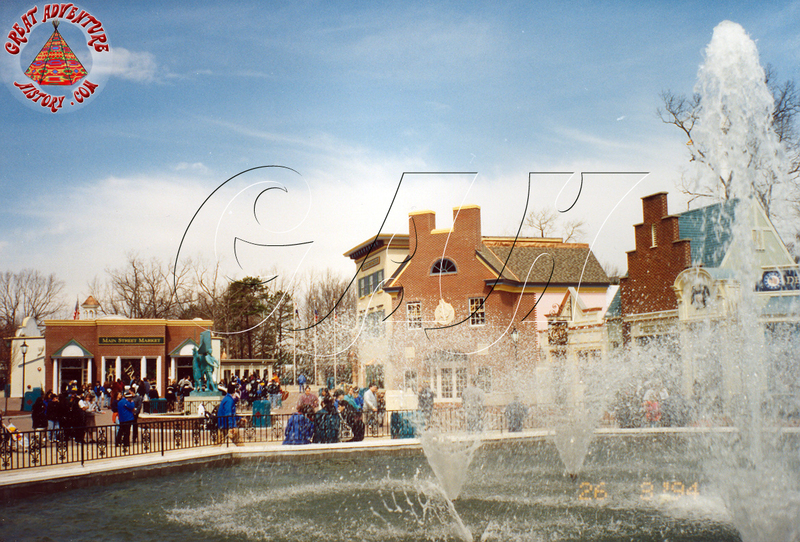 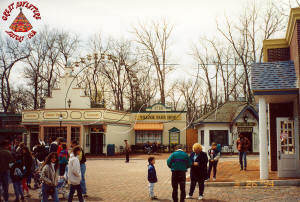 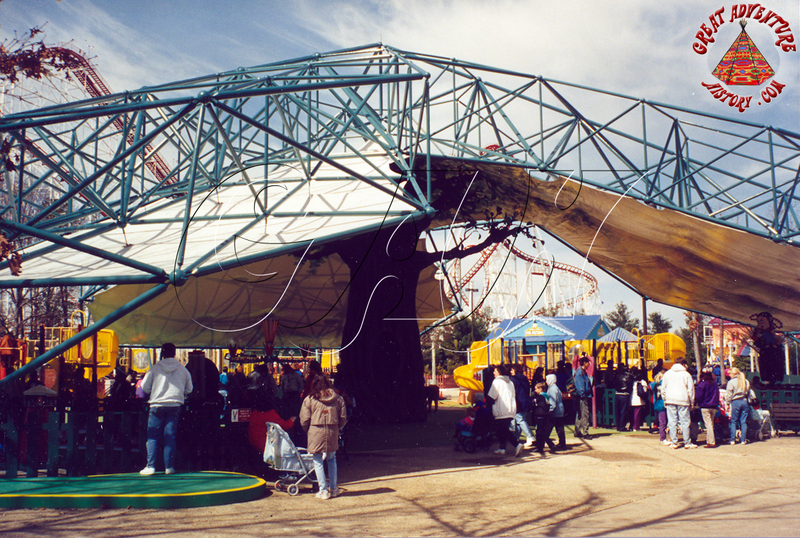 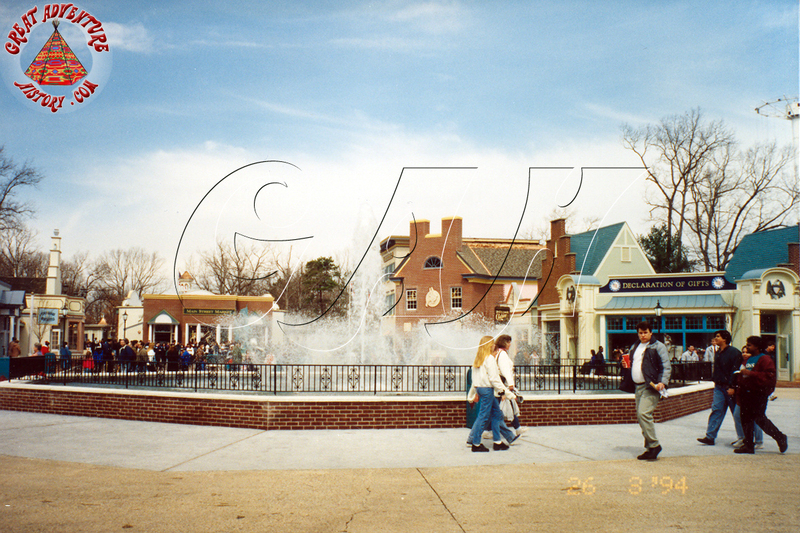 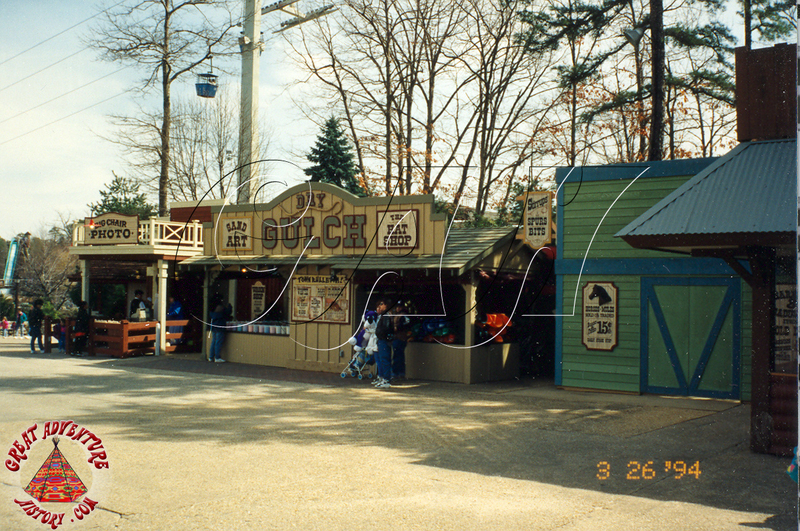 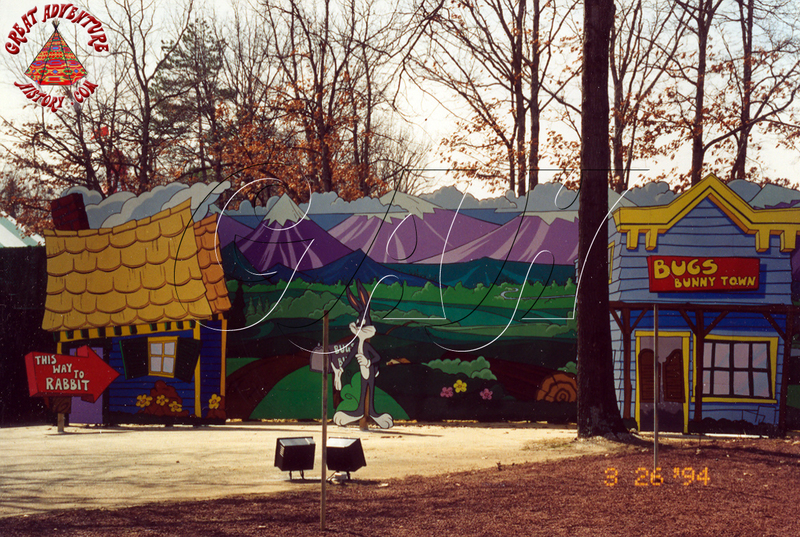 Opening day of the 1994 season featured beautiful sunshine and an early glimpse of all the exciting attractions that await guests in the upcoming season. 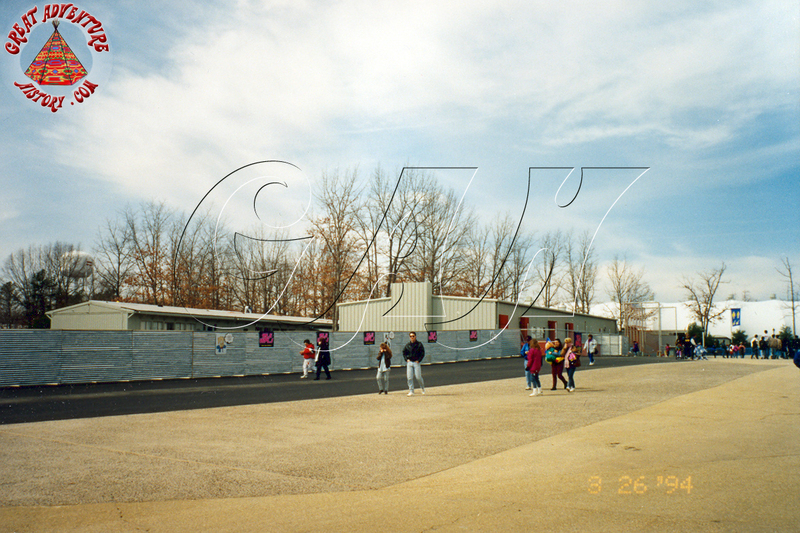 Below are a series of photos taken from the season opener displayed in chronological order. 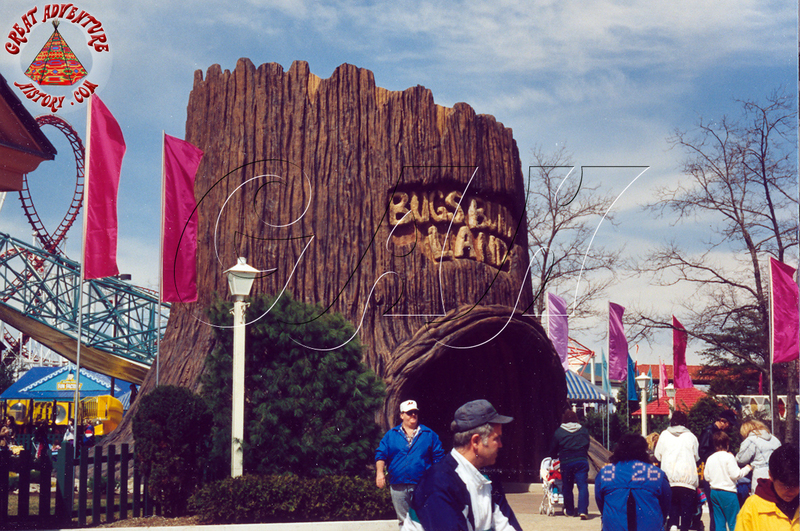 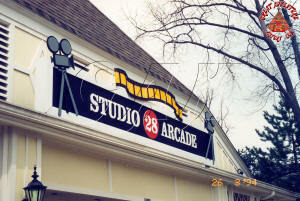 Enjoy this retro tour from 1994! 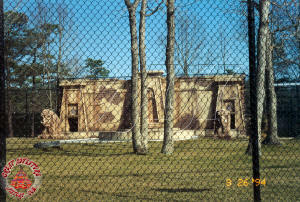 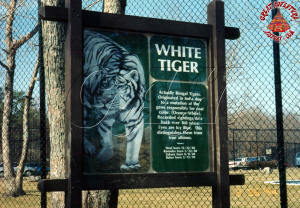 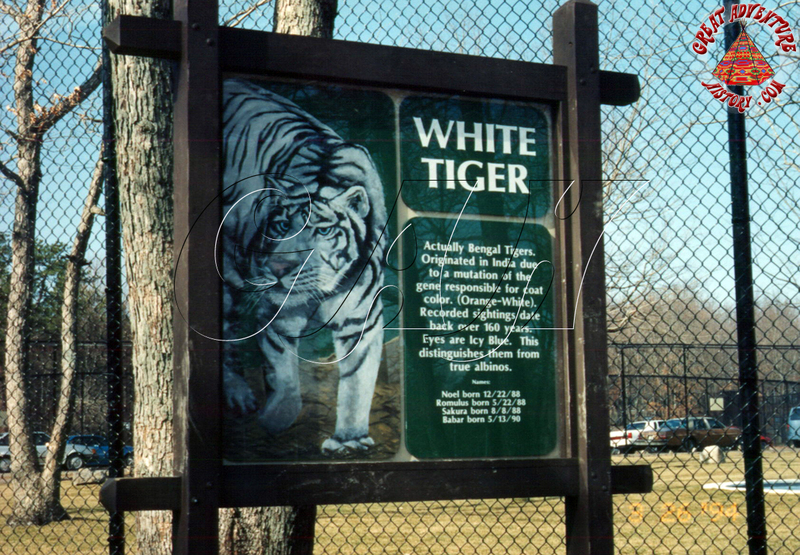 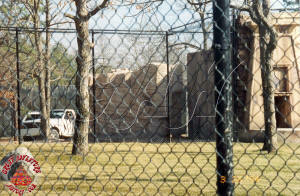 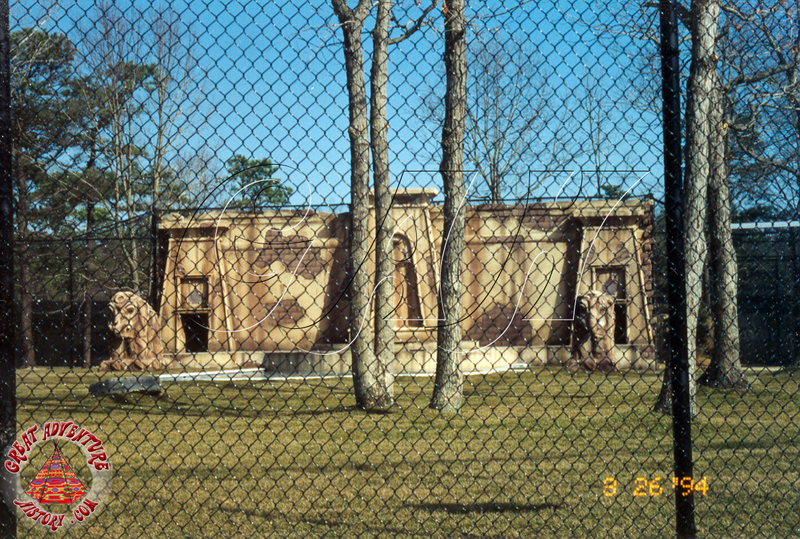 A new update to the tiger area of the Safari made its debut featuring an Asian temple with a pride of rare white tigers. 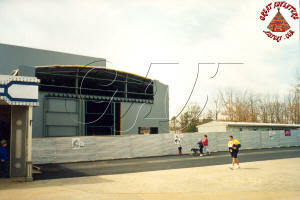 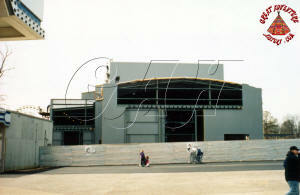 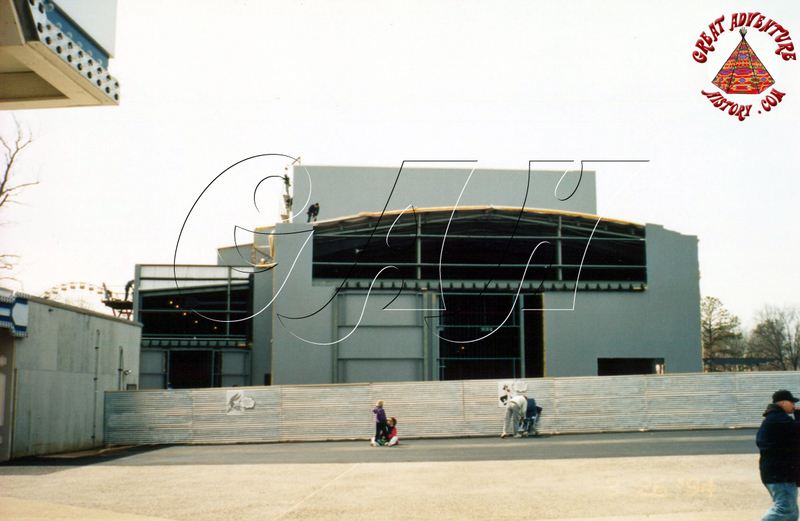 The Right Stuff Mach 1 Adventure's huge new show building was easy to spot from the theme park entrance plaza. 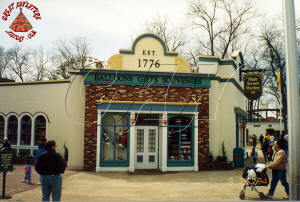 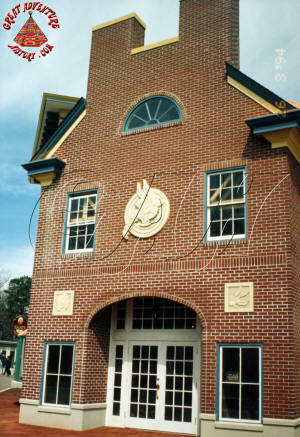 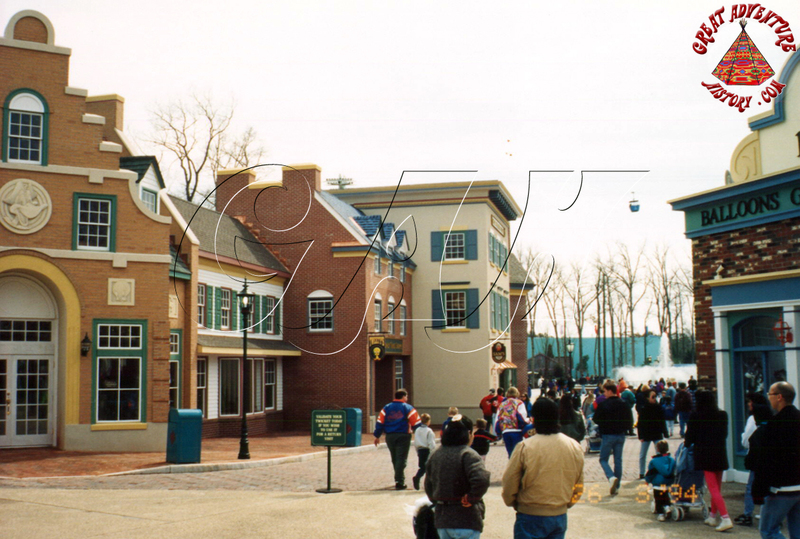 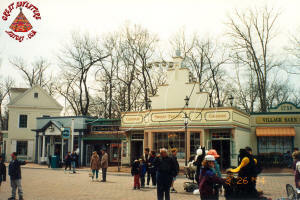 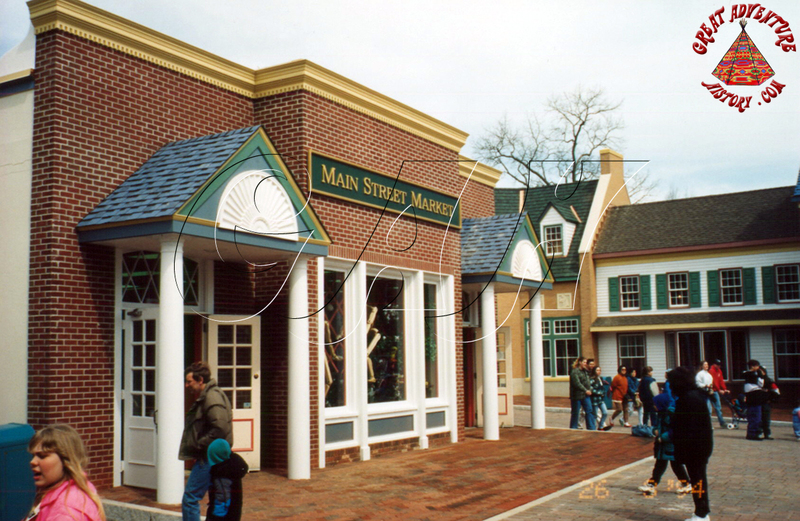 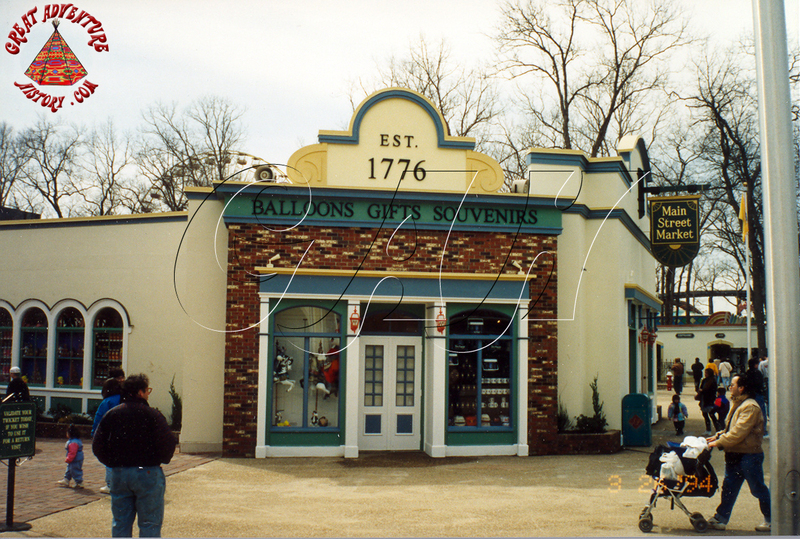 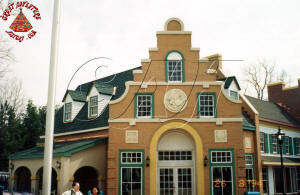 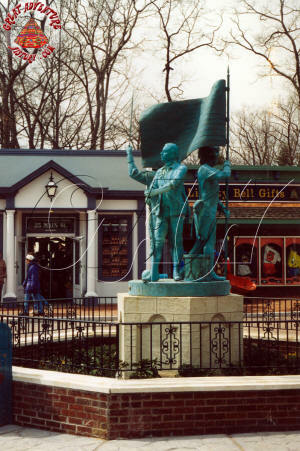 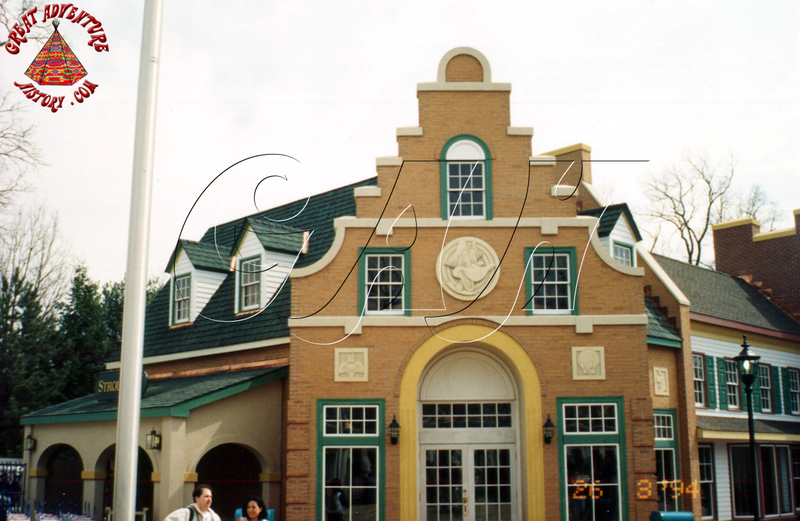 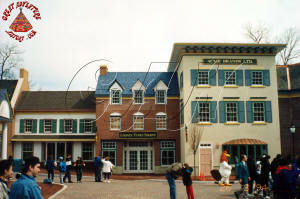 The entire entrance area of the theme park was rethemed to a colonial style Main Street with updated shop facades, a new statue and fountain, and the massive Looney Tunes Shoppe which had yet to open. 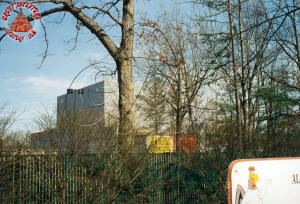 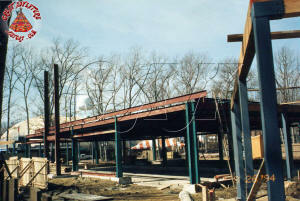 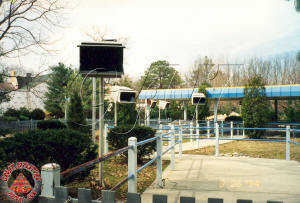 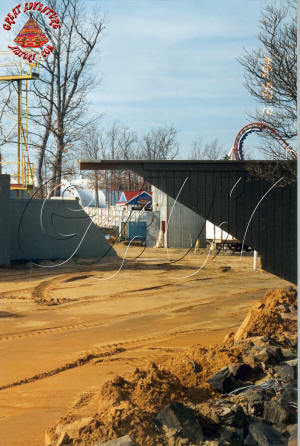 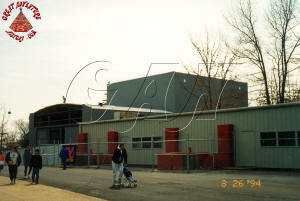 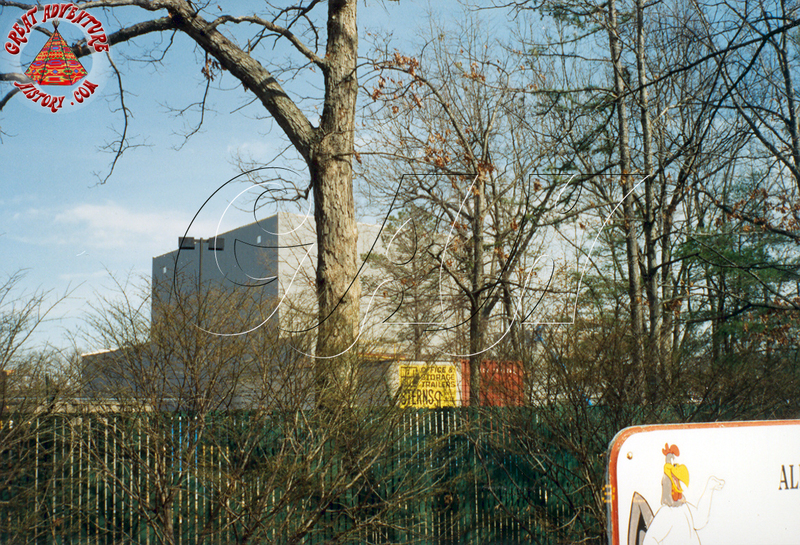 The Autobahn bumper cars and its adjacent games stands where still in the early stages of construction. 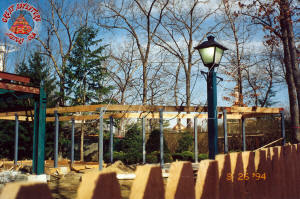 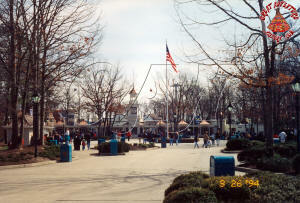 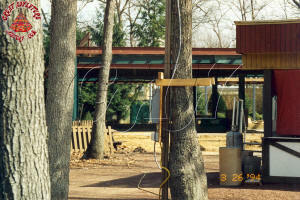 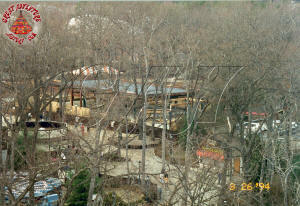 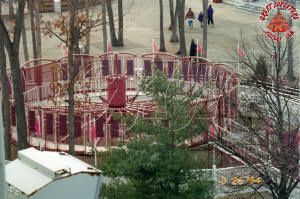 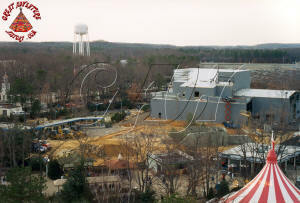 The ride would open about two months after these photos were taken. 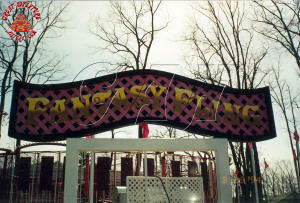 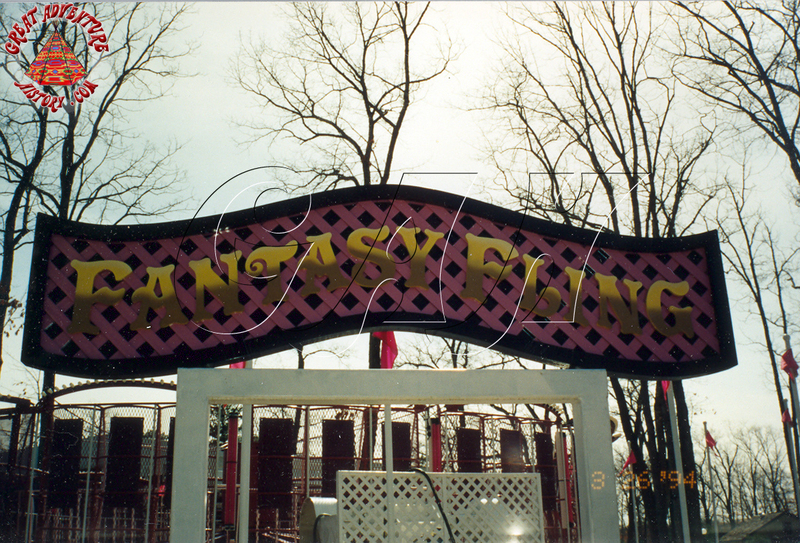 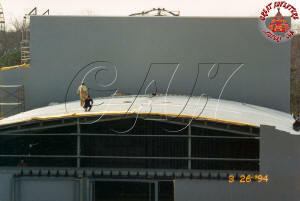 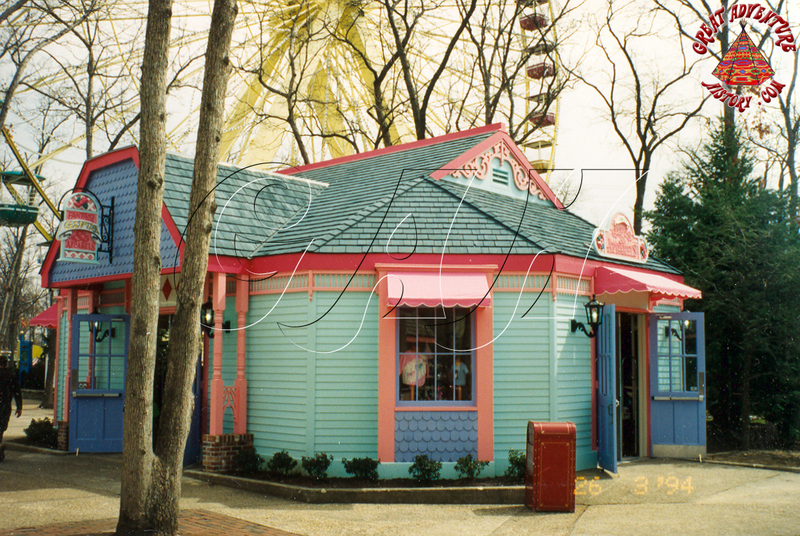 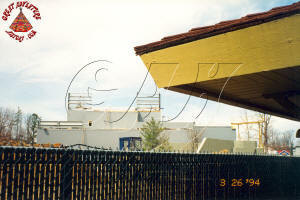 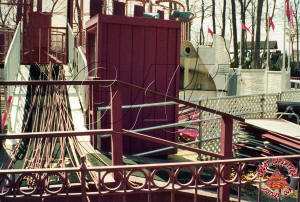 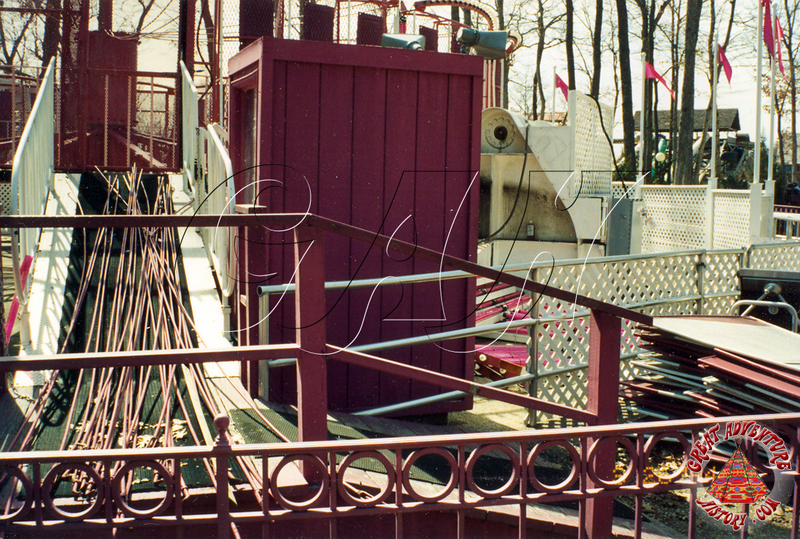 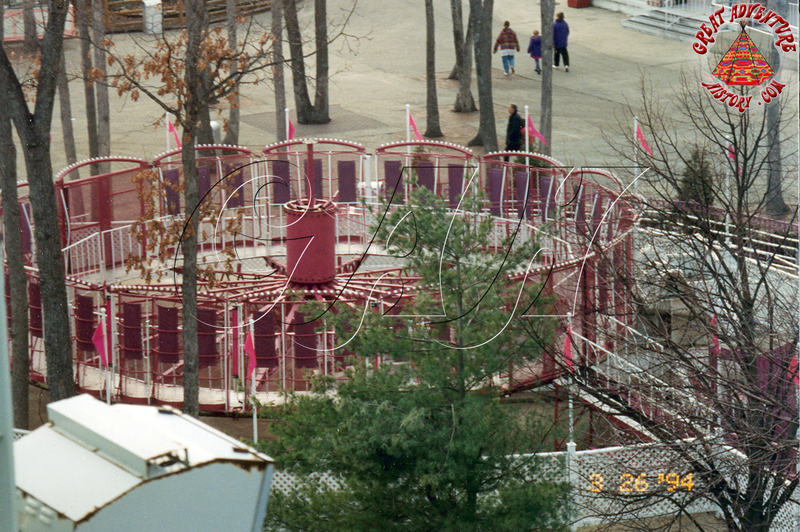 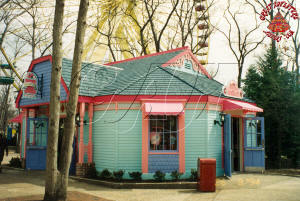 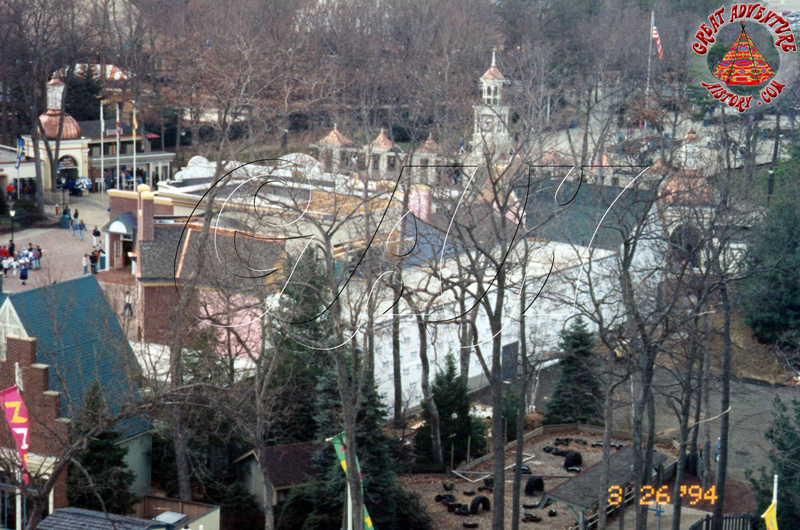 The Fantasy Fling was still being repainted and rehabbed. 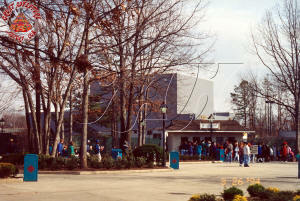 The old ShockWave queue sat vacant. 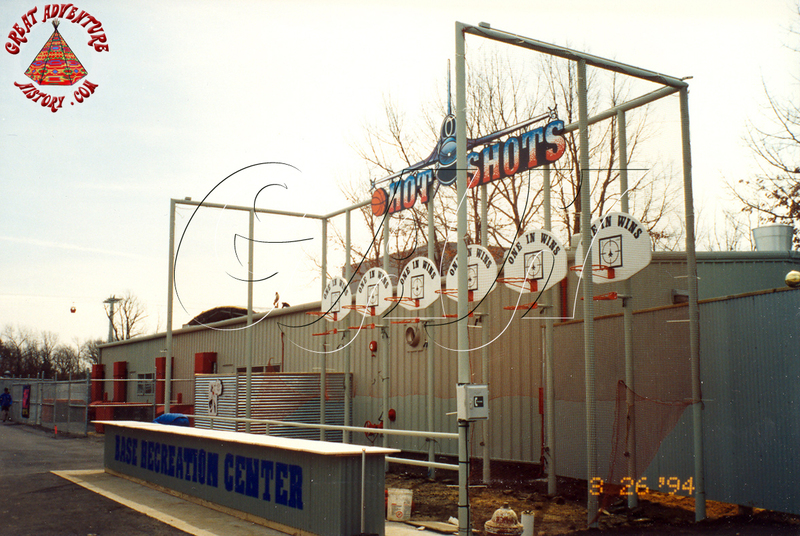 The Right Stuff addition opened up the entire left side of the games area. 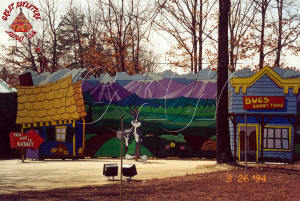 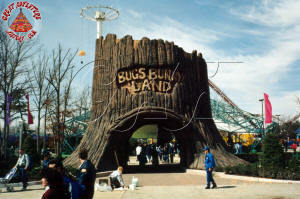 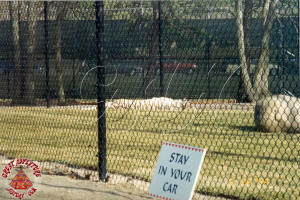 Bugs Bunny Land received a new entrance portal and several minor updates. 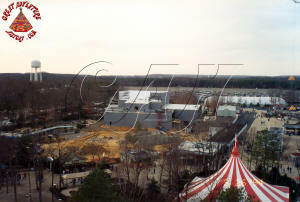 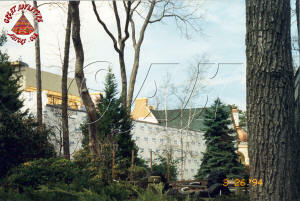 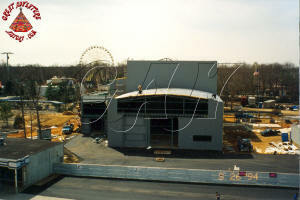 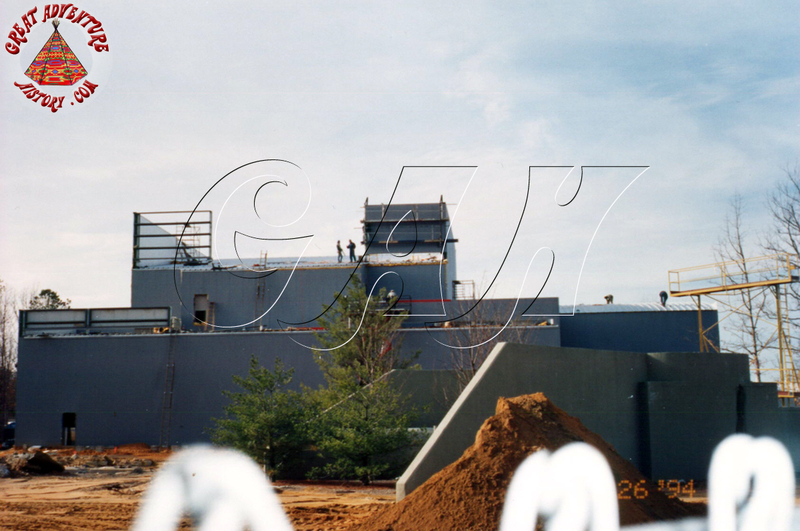 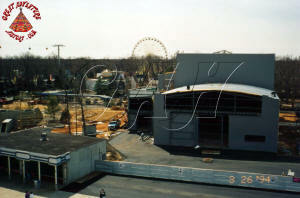 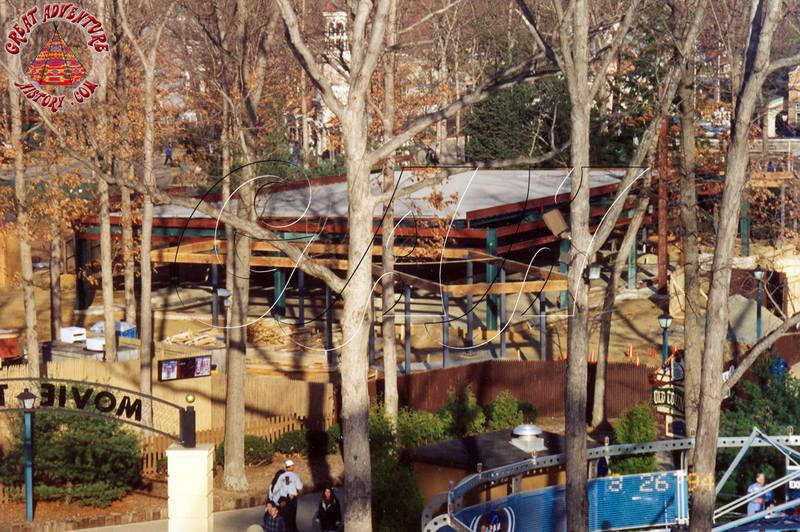 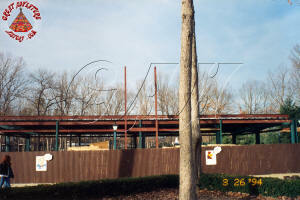 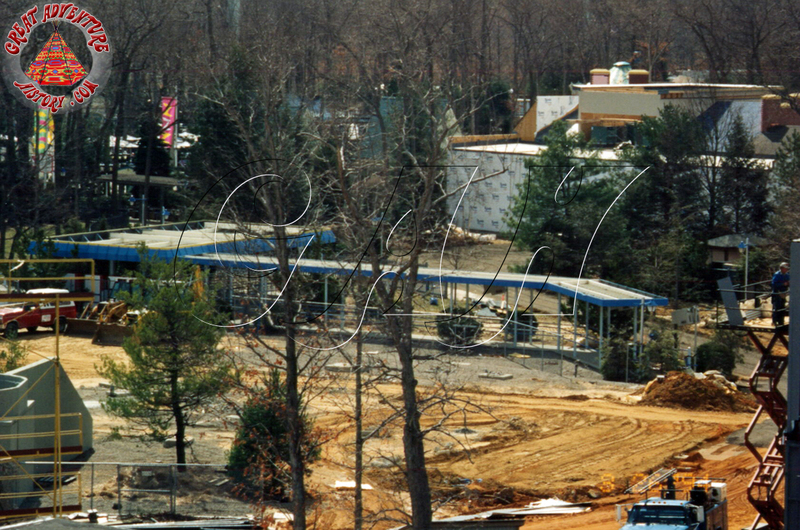 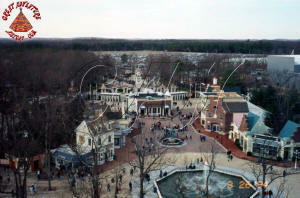 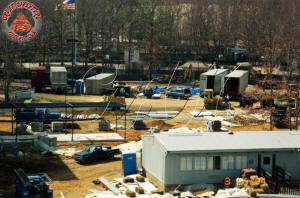 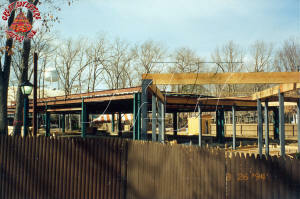 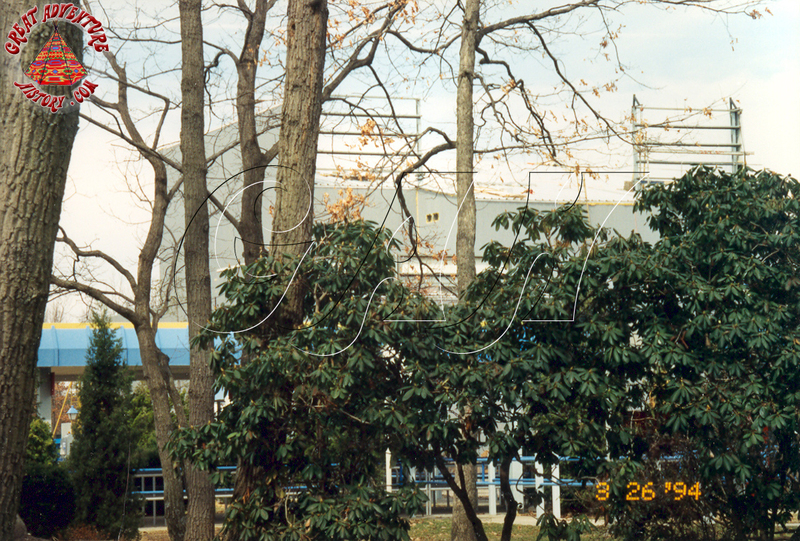 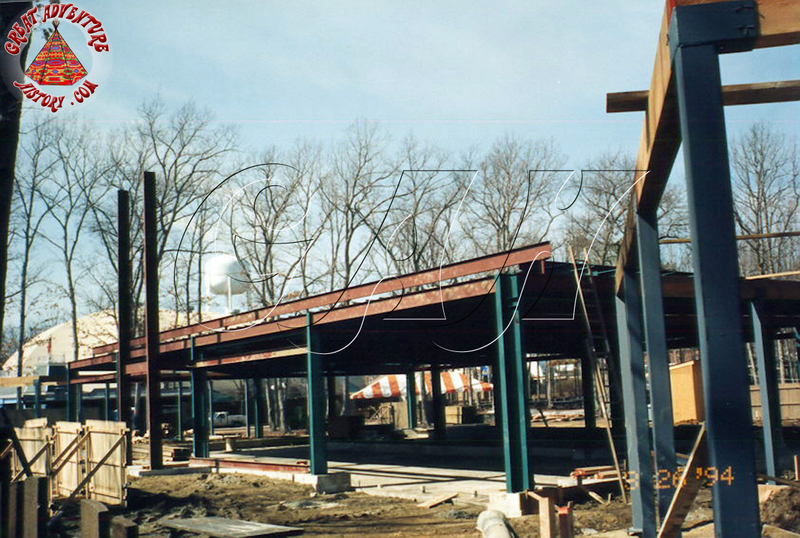 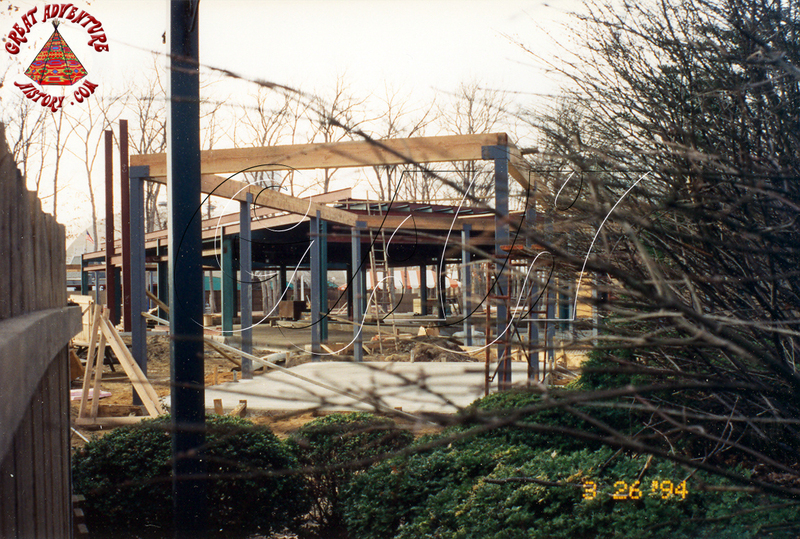 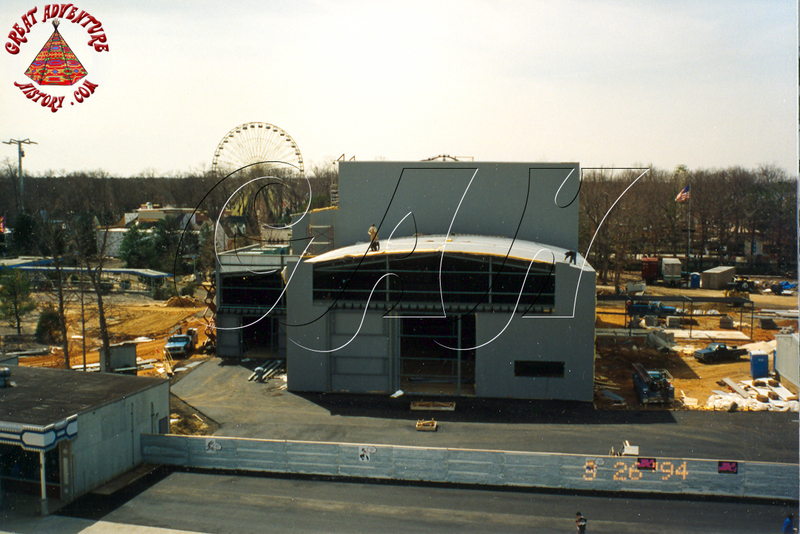 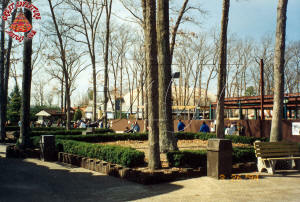 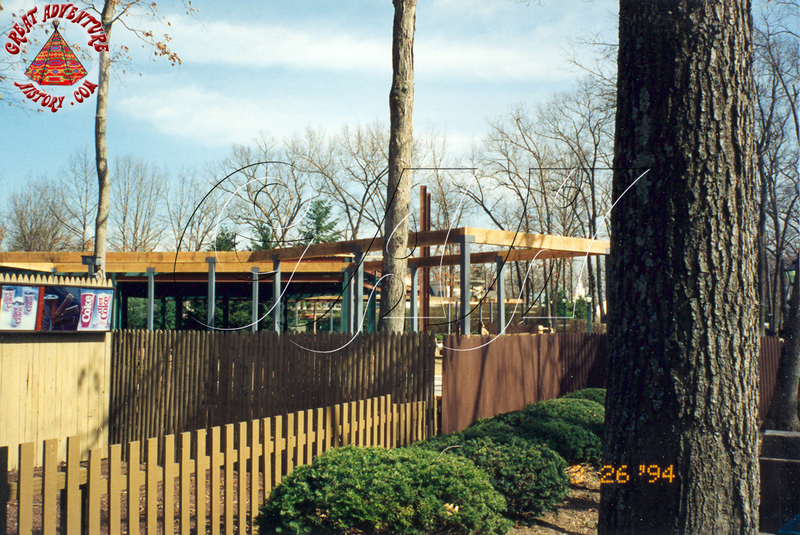 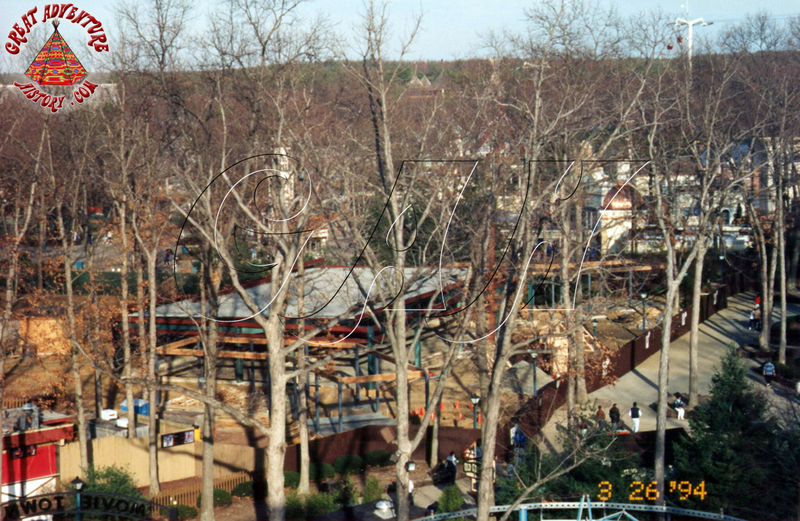 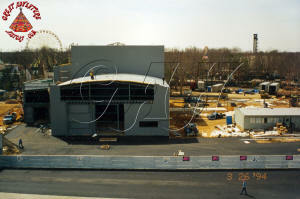 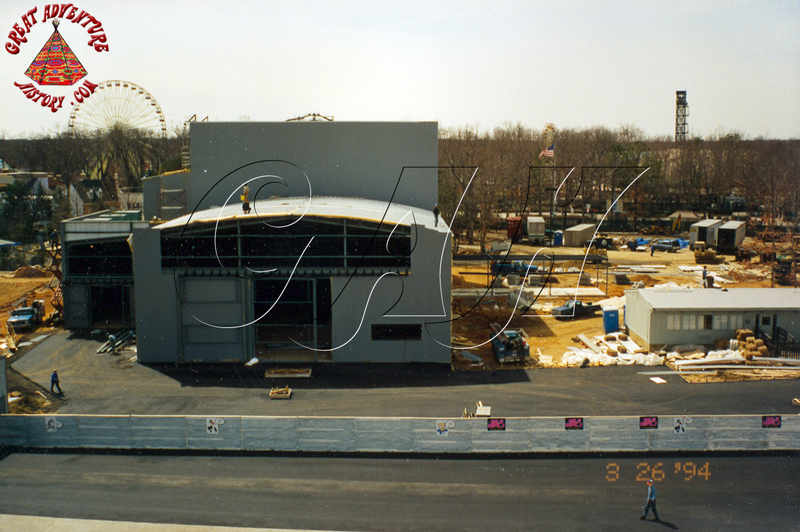 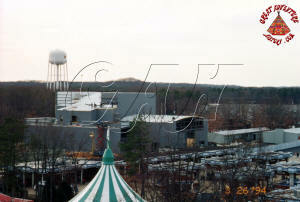 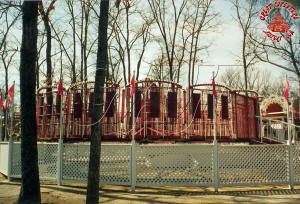 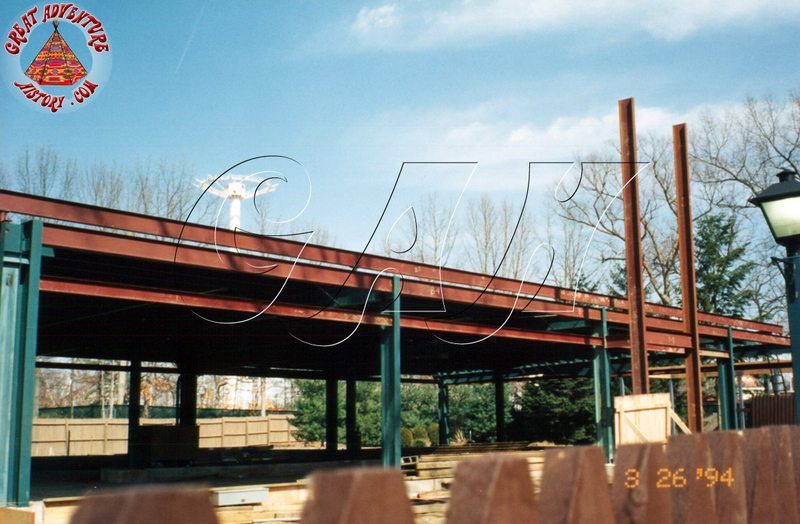 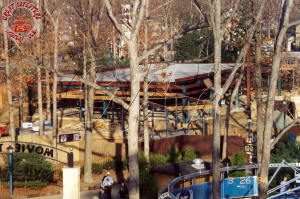 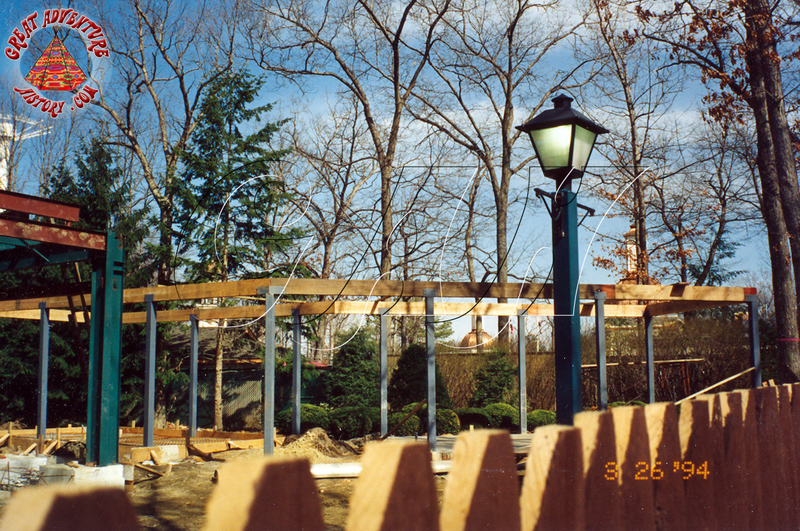 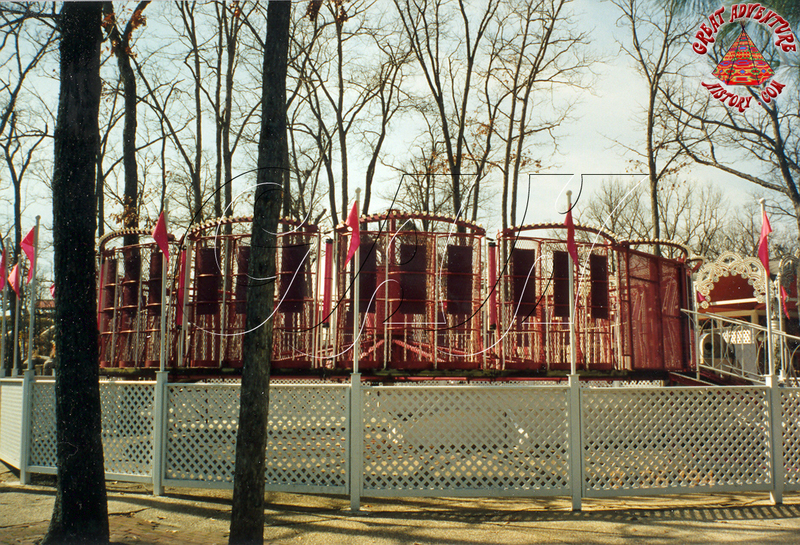 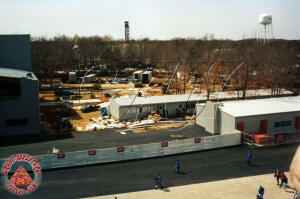 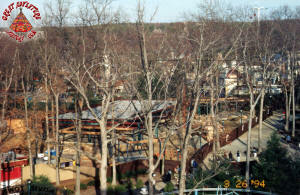 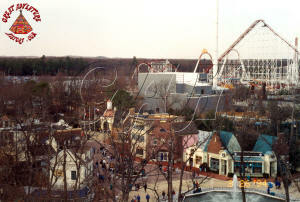 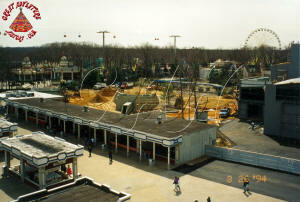 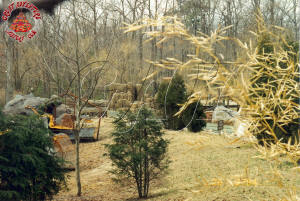 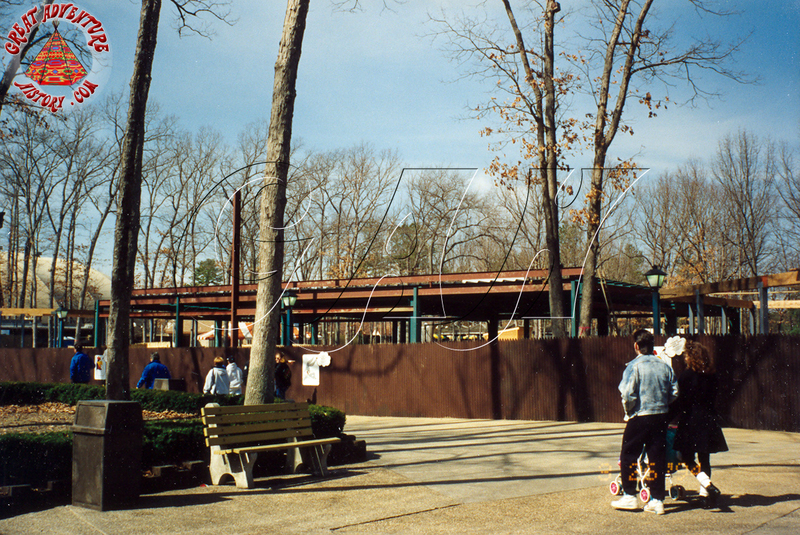 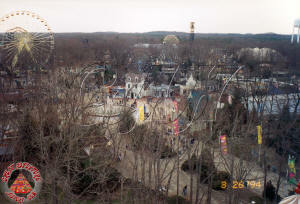 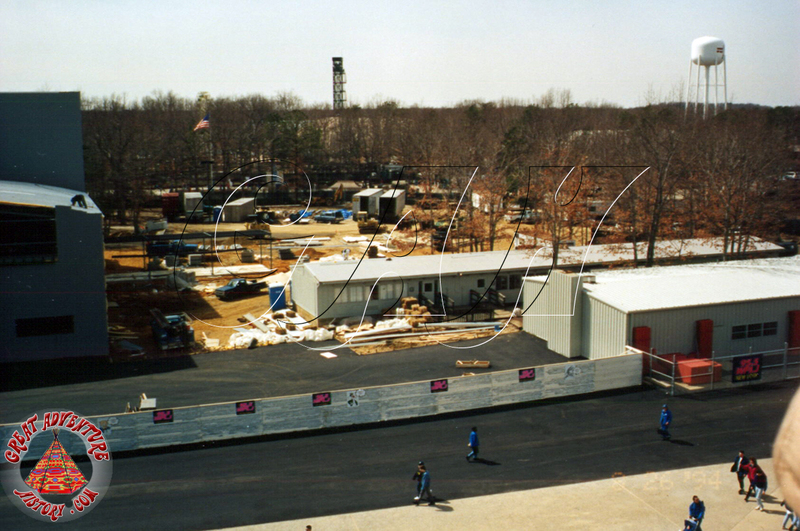 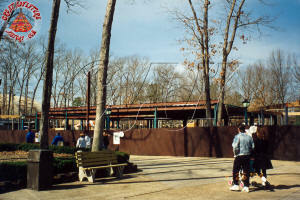 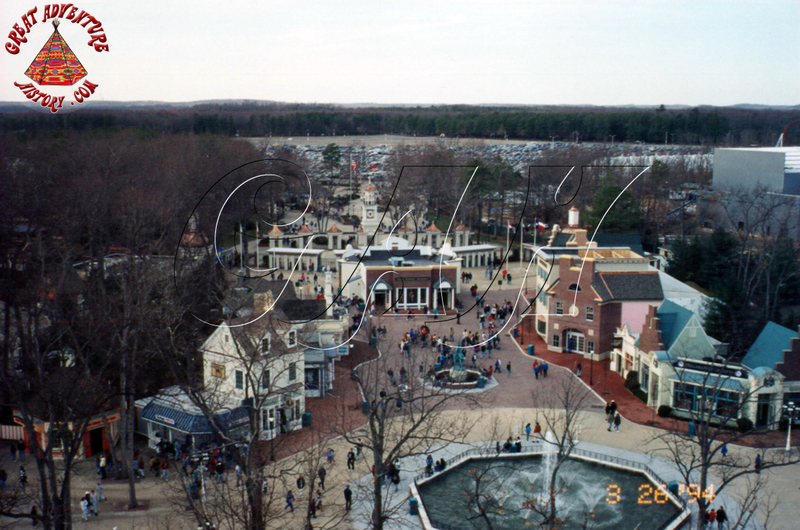 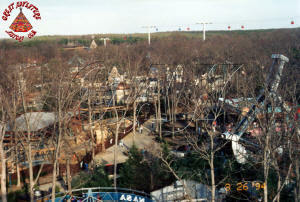 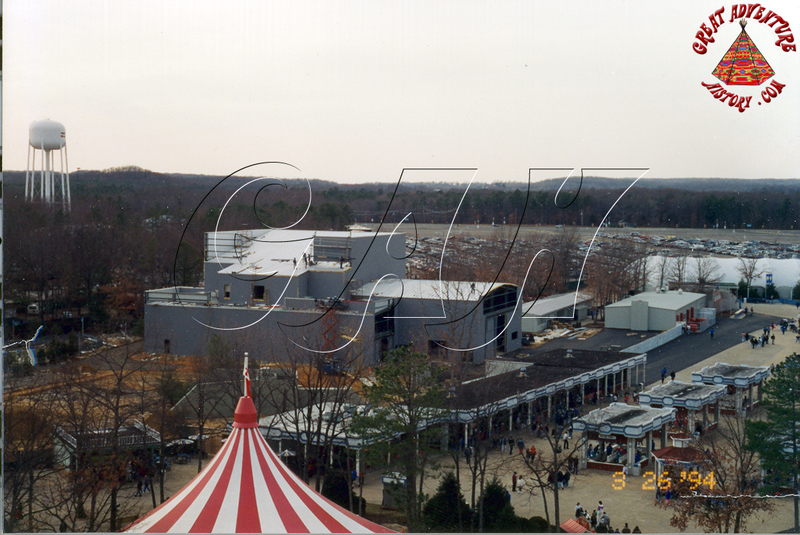 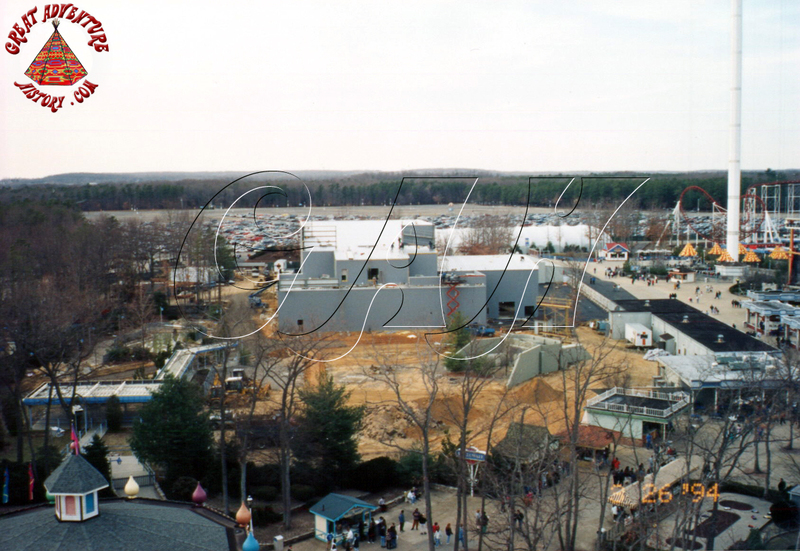 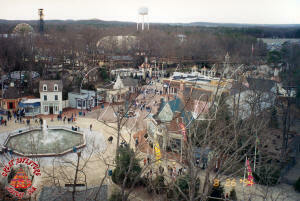 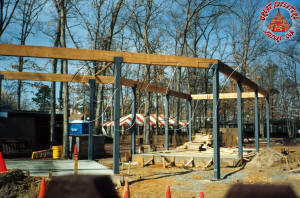 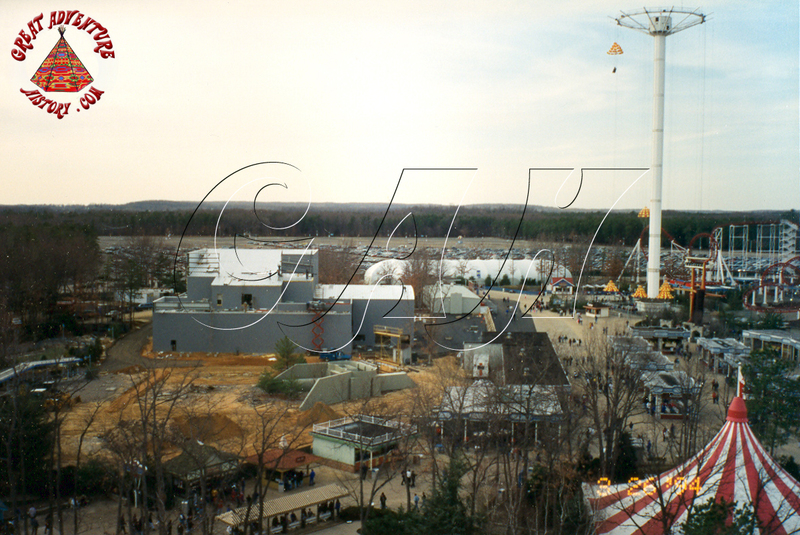 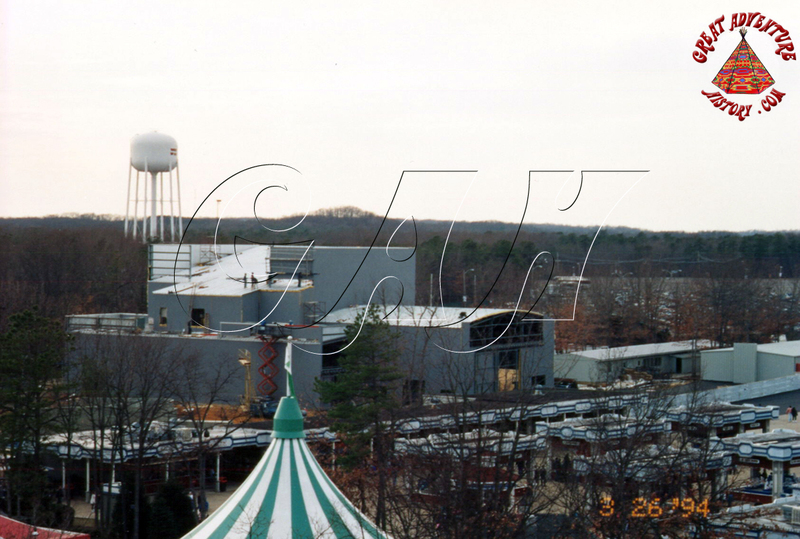 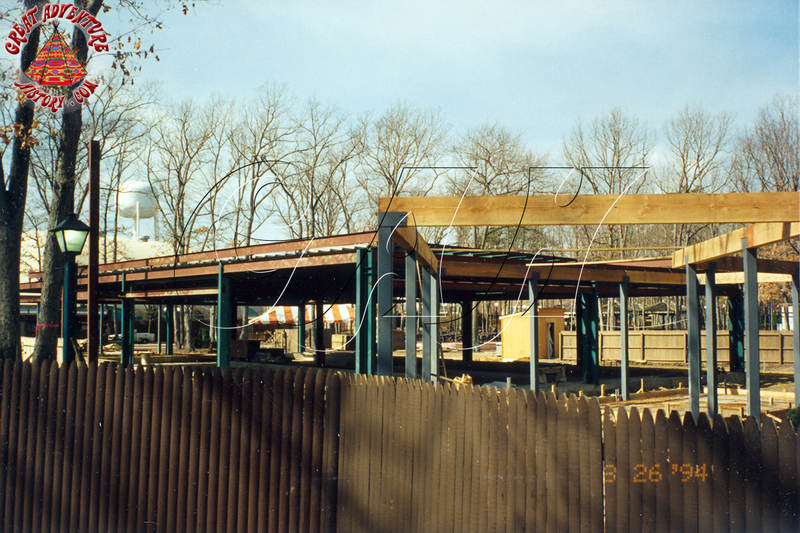 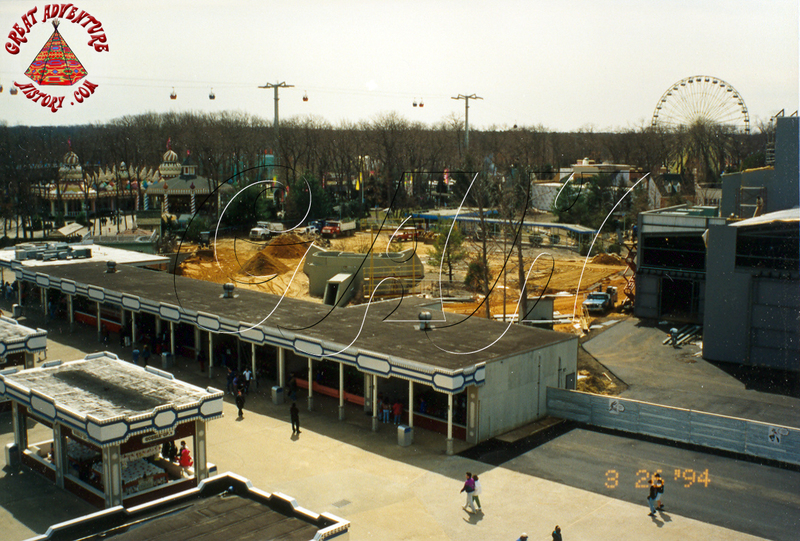 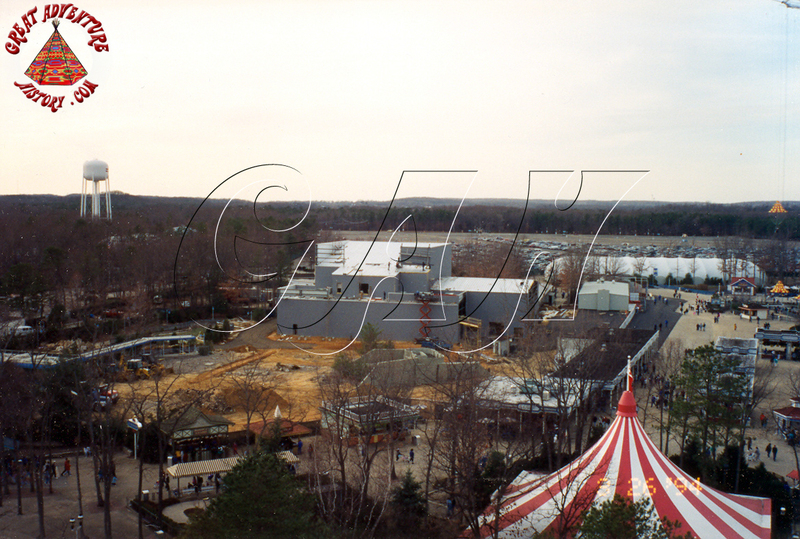 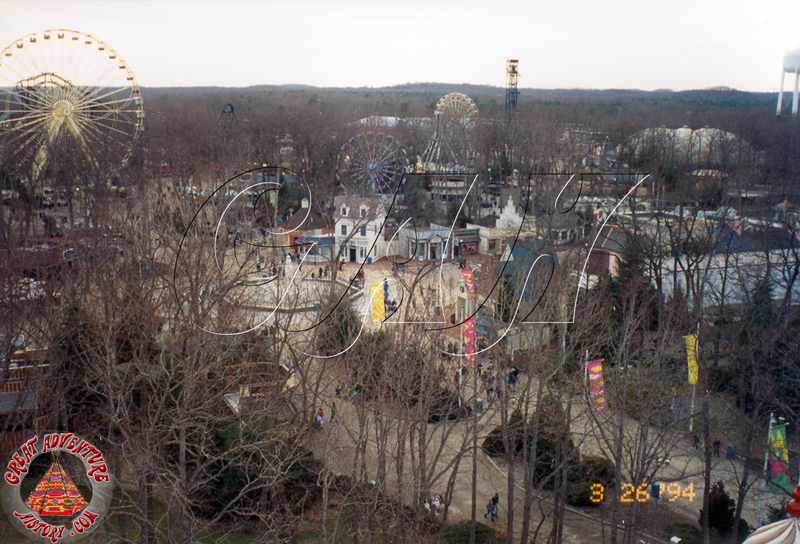 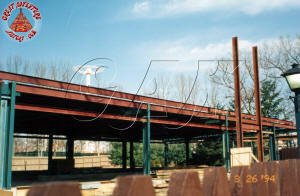 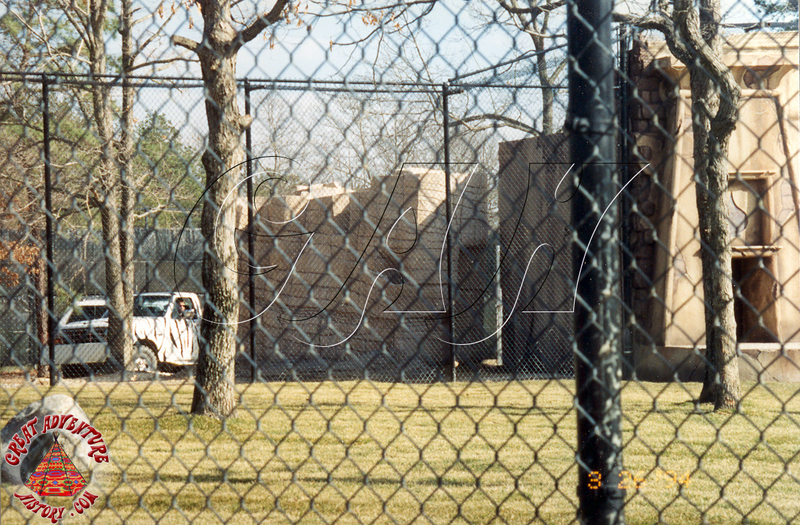 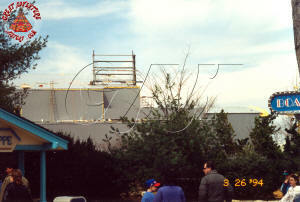 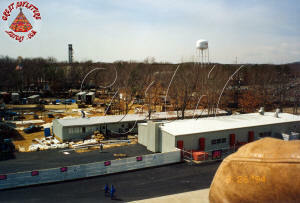 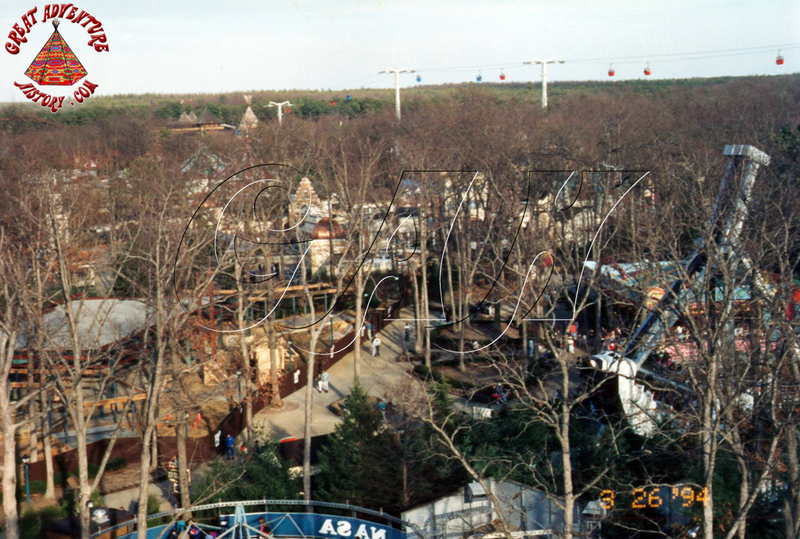 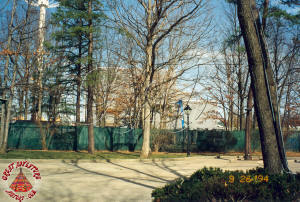 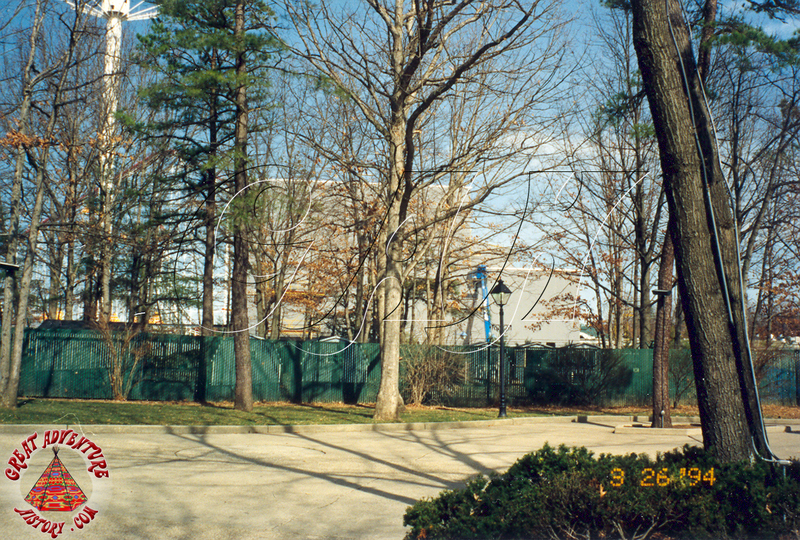 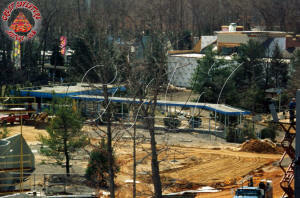 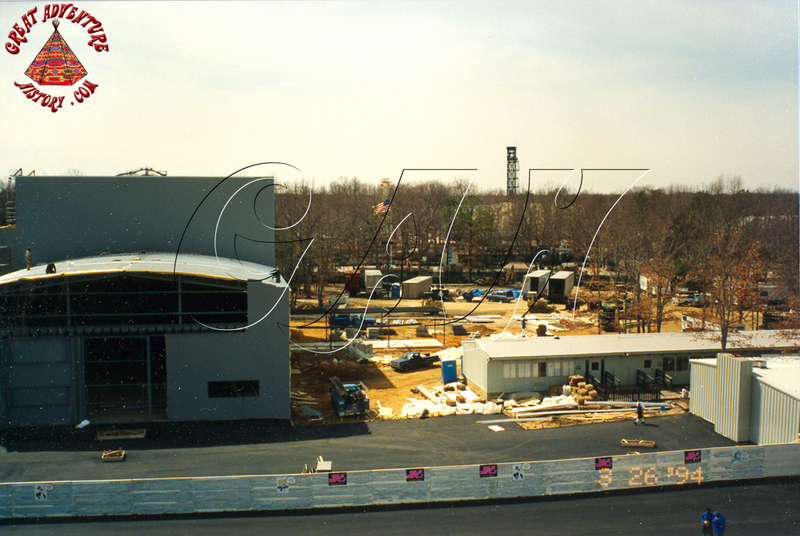 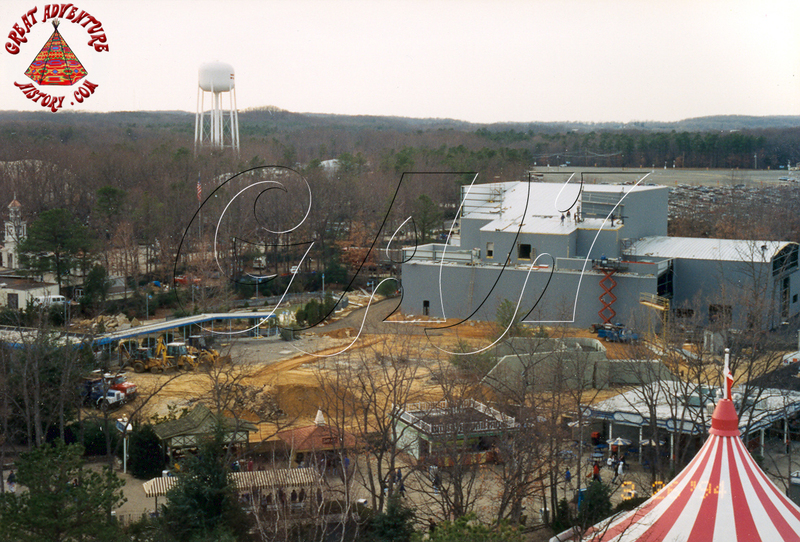 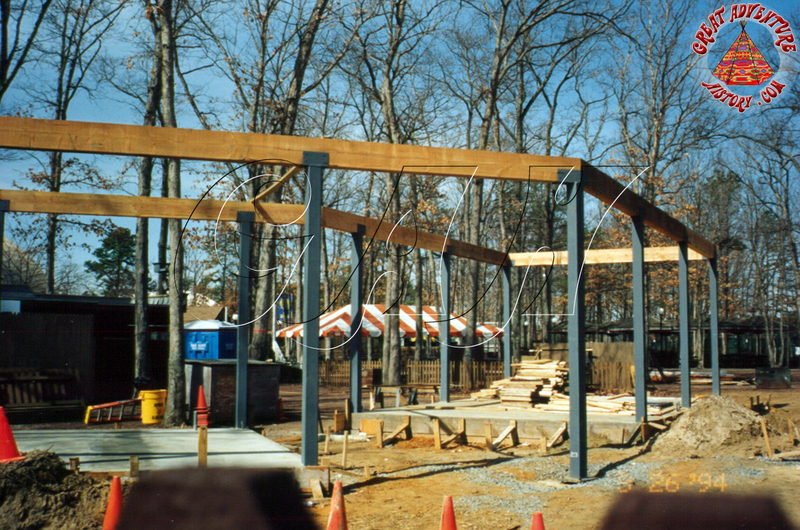 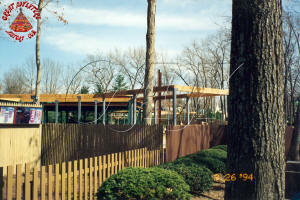 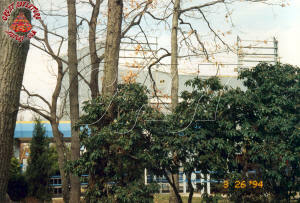 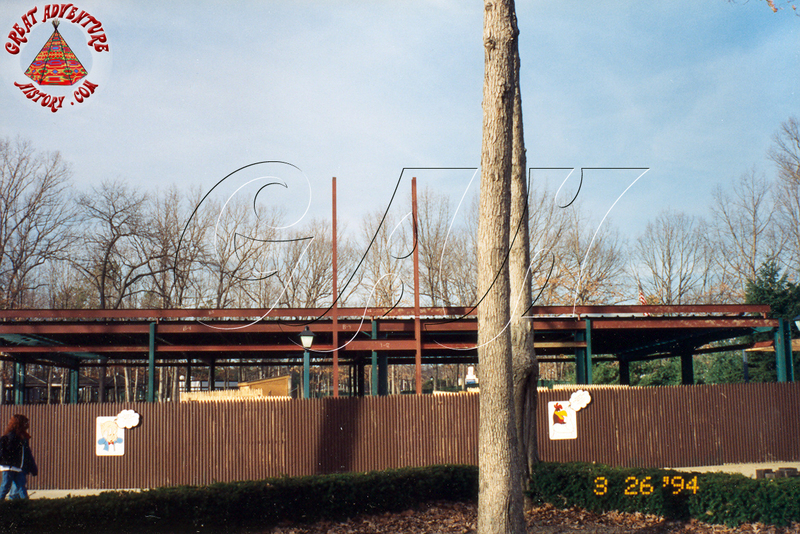 Panoramic photos of the main additions for 1994 as seen from the Sky Ride show off construction sites throughout the park.